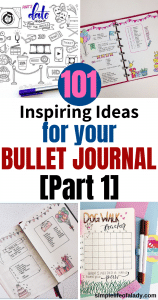 Are you looking for bullet journal ideas to fill your journal pages? 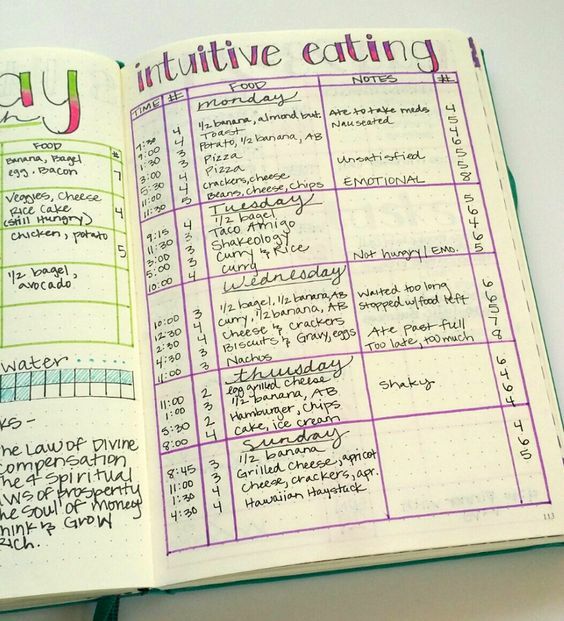 Bullet journals are wonderful and well, you can get addicted to yours. Not to mention the fact that they are very useful in almost all aspects of your life. 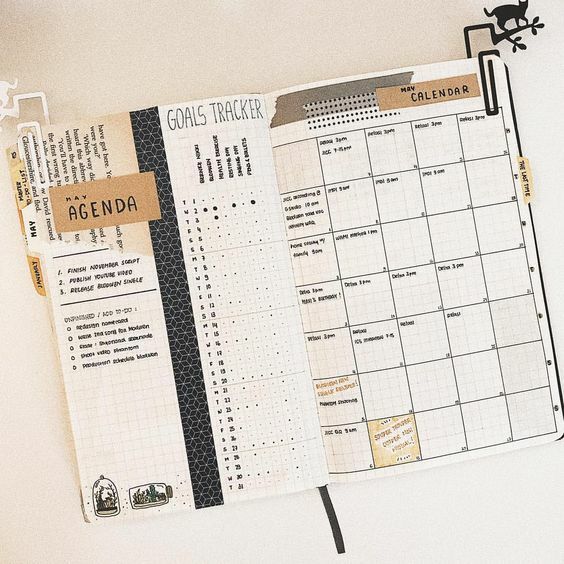 You can use a page to track your expenses and the money you save, your daily routines to stay healthy and productive, the books you want to read, the movies you want to see and even the places you want to visit! 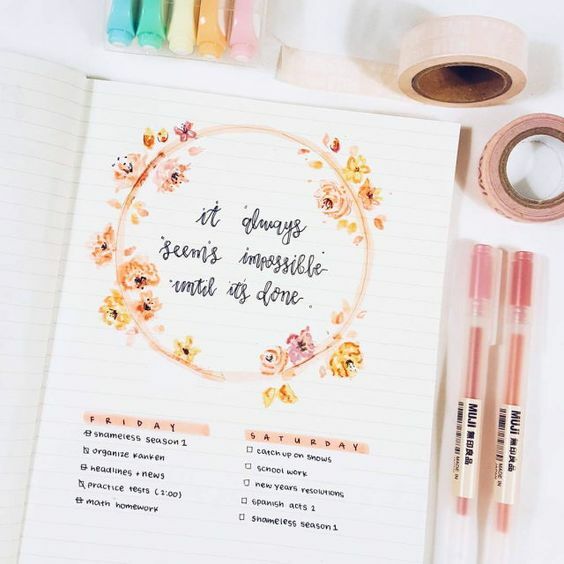 So whether you are short of ideas or you just want to see some things that will pique your imagination and add more life to your BuJo, here is a list of bullet journal ideas that will surely inspire your next entry! I updated this post already. 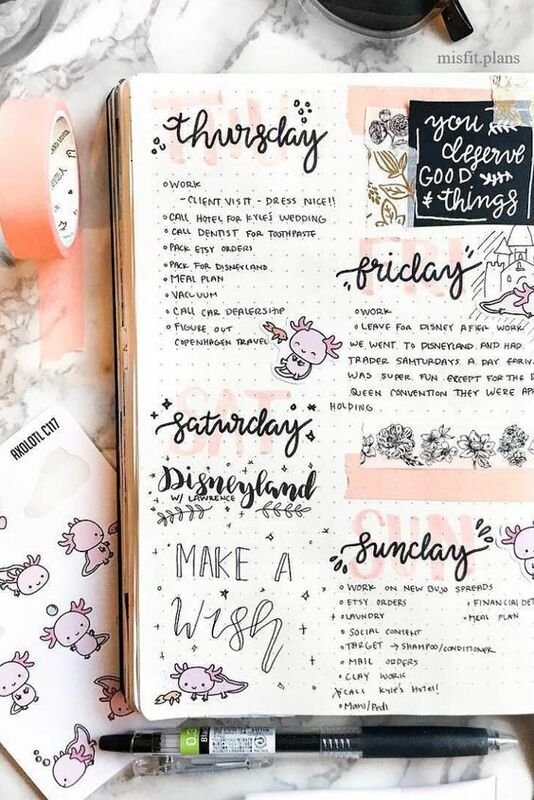 Originally, there were only 51 BuJo ideas. But I saw that readers loved the post so I added another 50 to the list! I also rearranged how the ideas are presented so that similar items are grouped together. Also did some enhancement to the title of the post. 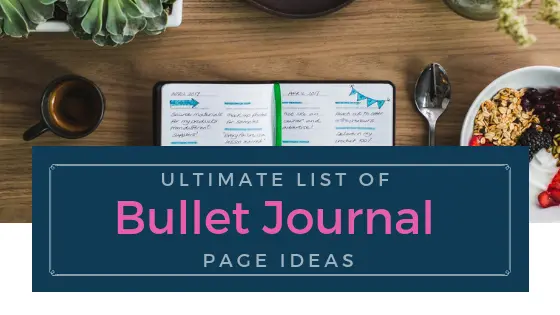 So if you landed here because of a pin that says Ultimate List of Bullet Journal Page Ideas: 51 Inspiring Concepts to Try Today, this is it, updated to a much better version! 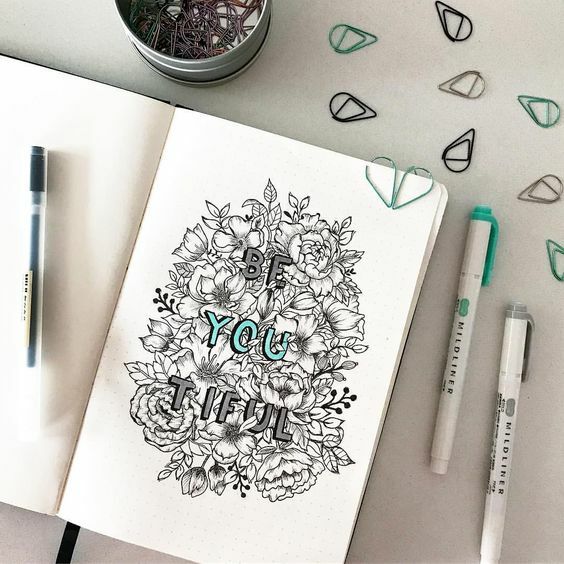 It can be the title of your entire bullet journal, a yearly cover page, or a monthly cover page. You choose whether it’s really artistic and full of colors, or just plain and simple, or something in between. 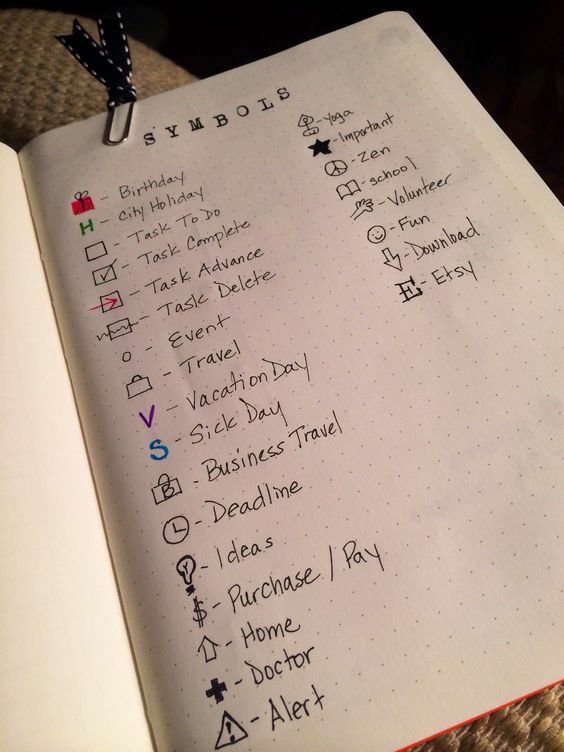 Since you will be using a lot of symbols in your bullet journal, it pays to have all those symbols gathered in one page. 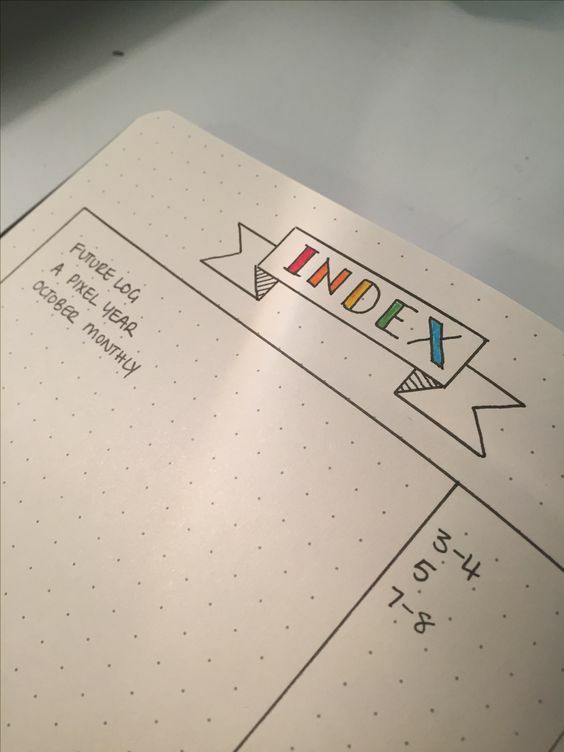 At first, you may think that an Index Page looks like just a Key Page, but, think again. 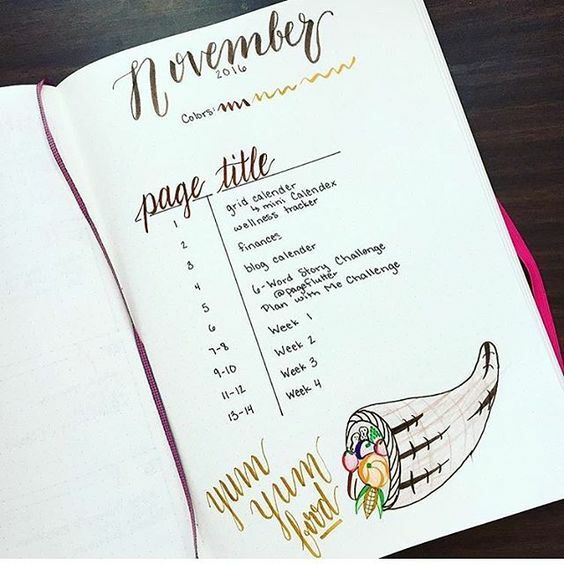 Since your BuJo can contain lots and lots of information about your daily life, you can make a quick-glance section where there’s the title of a particular page and where it can be found (like, say, Places to Go; page 23). Pretty much like a Table of Contents. Now when you want to go to that page, you can just look it up in the Index Page and go straight to it. 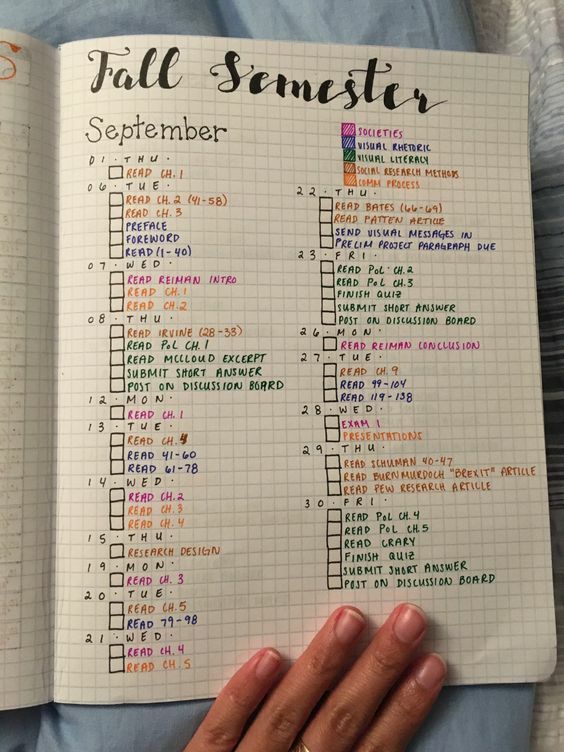 This is much easier than having to flip each and every page in your journal until you find the one page you’re looking for. 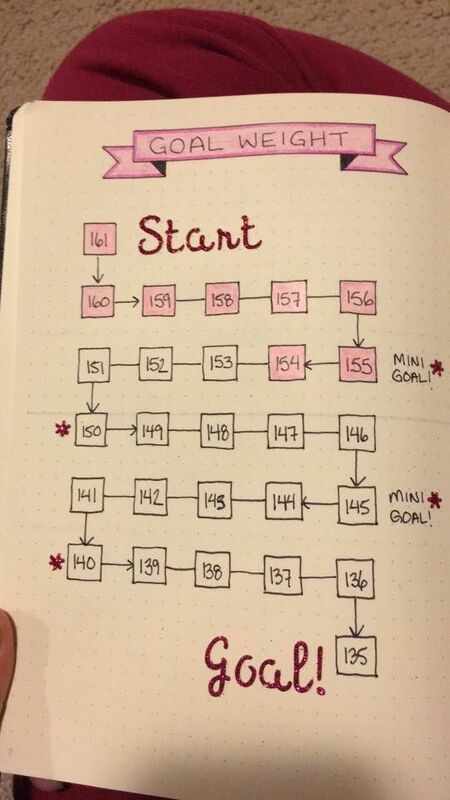 If you don’t have a lot yet in your bullet journal, you can still make this one and just keep adding to it when you have added another page in your BuJo. 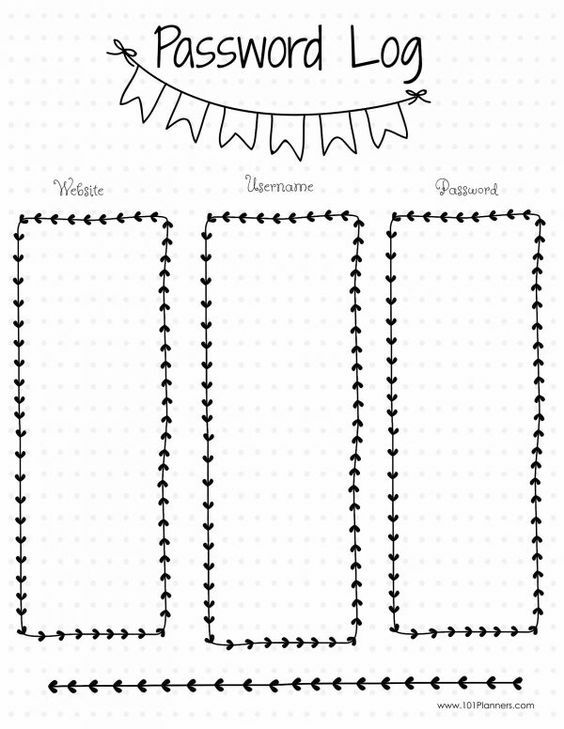 Here are more boards for ideas you can copy! 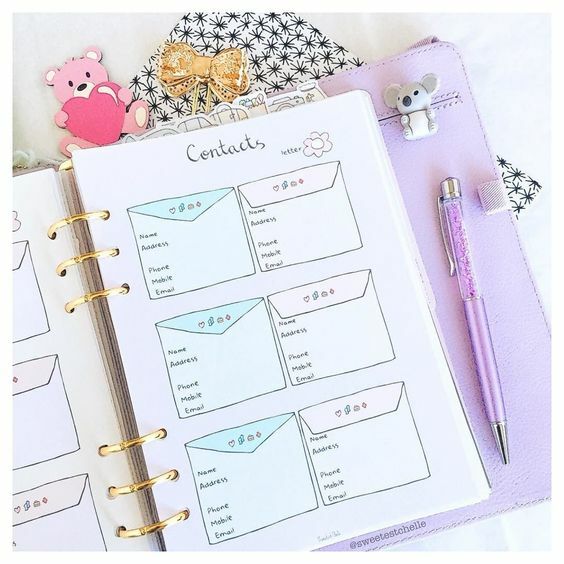 Get all your contact numbers in one place with a contacts list page! 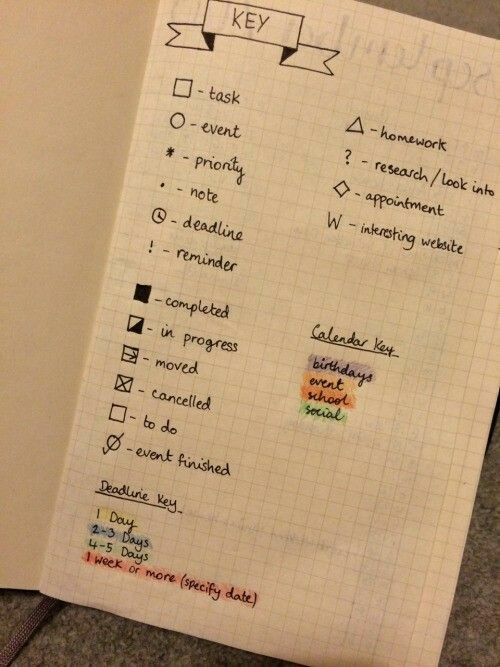 This works like any Contacts Page that you find in planners. 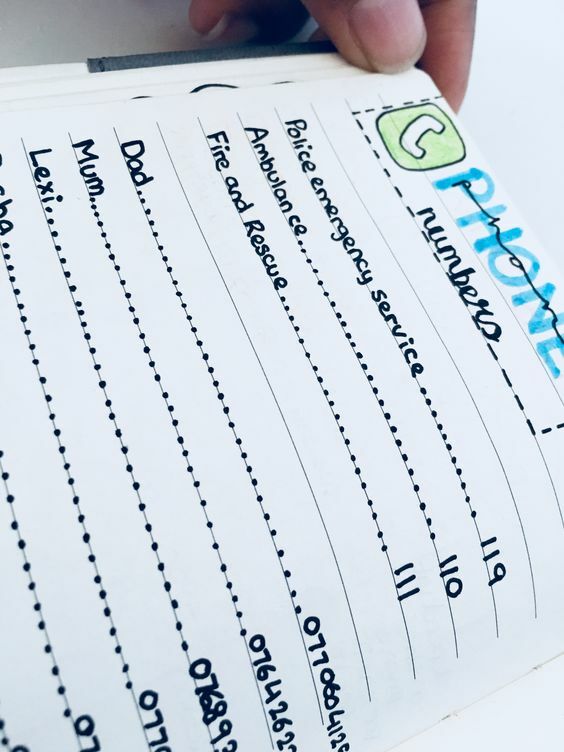 Whether it’s your colleague’s number, your friend’s, family’s, and even contact numbers for emergencies, you can put it all in your bullet journal. 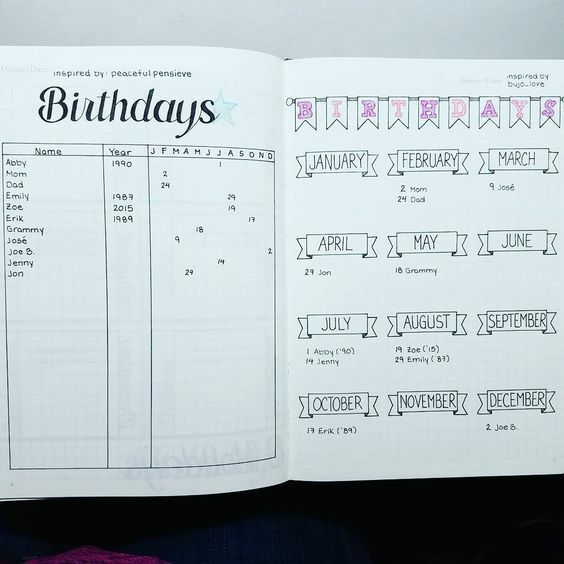 You can create the layout yourself, or you can just print a ready-made template and insert it in your bullet journal. I know we can always save contact information in our smartphones, but these things can still get busted or lost. So even if you have a phone to store your contacts, it doesn’t hurt to have a backup just in case and your bullet journal is a promising space for that. How many times have you clicked on Forgot Password? And then another, Forgot Username. I know. Happens to me A LOT. 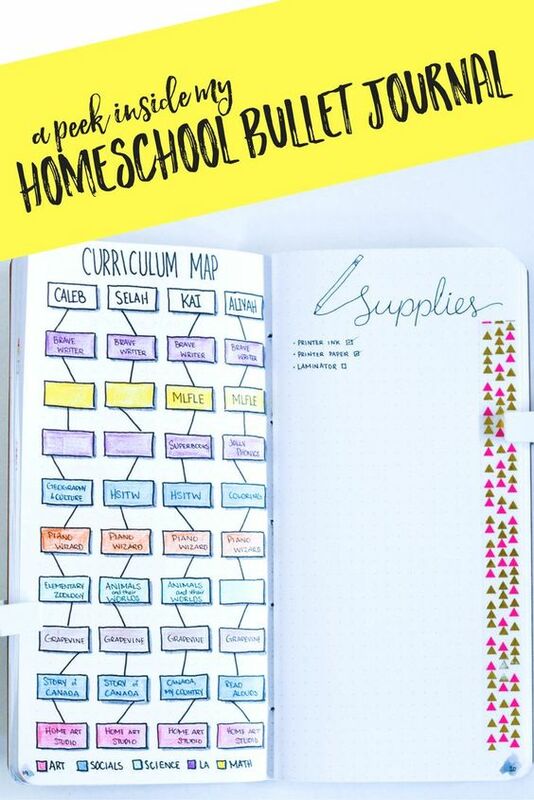 It’s not so hard memorizing one or two accounts, but more than that, you definitely need an organizer! 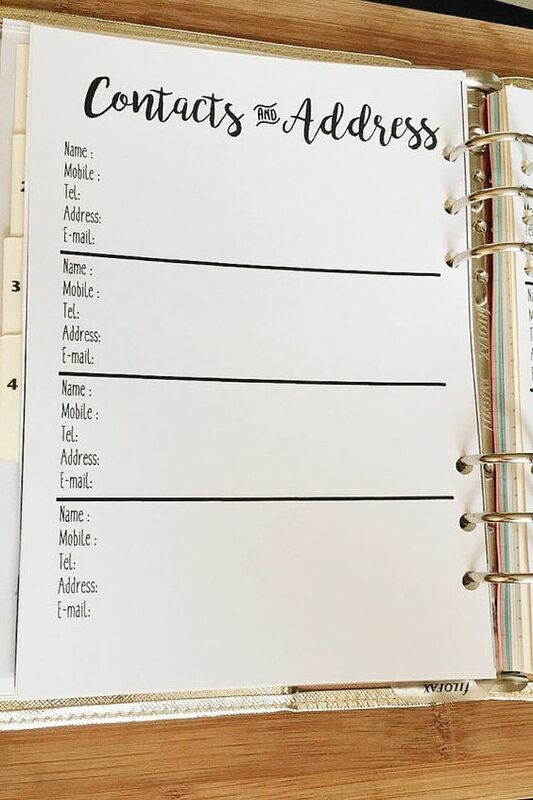 I used to have the habit of just writing a new username and password in whatever paper I can get (which gets lost every time), so I thought writing it in a notebook would work better. It’s just that I don’t have them in one page, so when I need it, I shuffle through my notes. Proves to be time consuming and sometimes annoying. 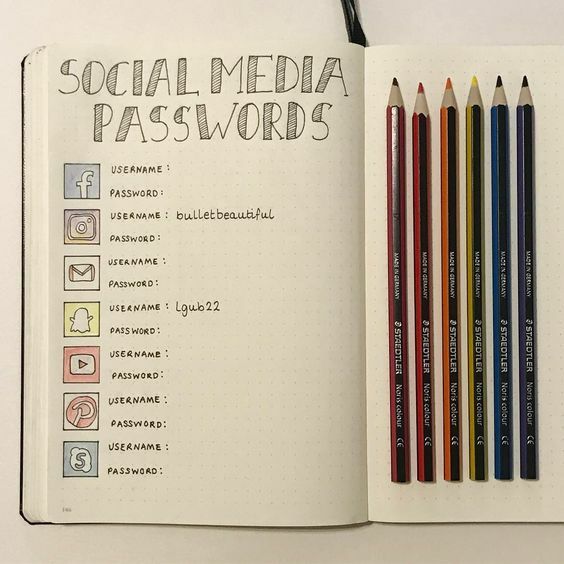 If this happens to you too, it’s about time to learn from our experiences and start putting all those passwords in just one page. 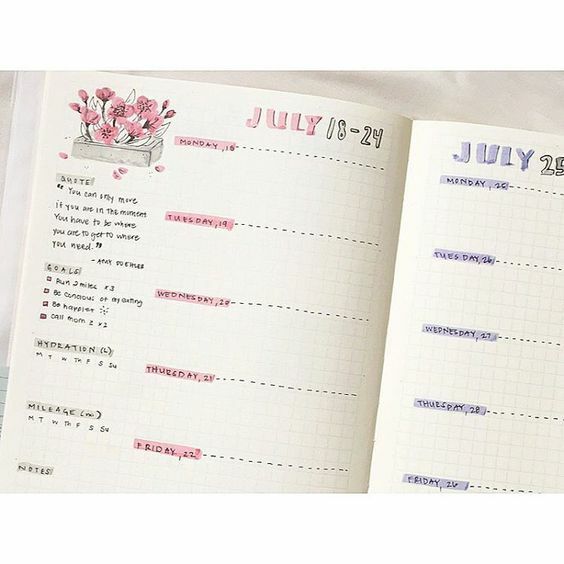 What could be better than a personal notebook closest to your heart – your bullet journal! 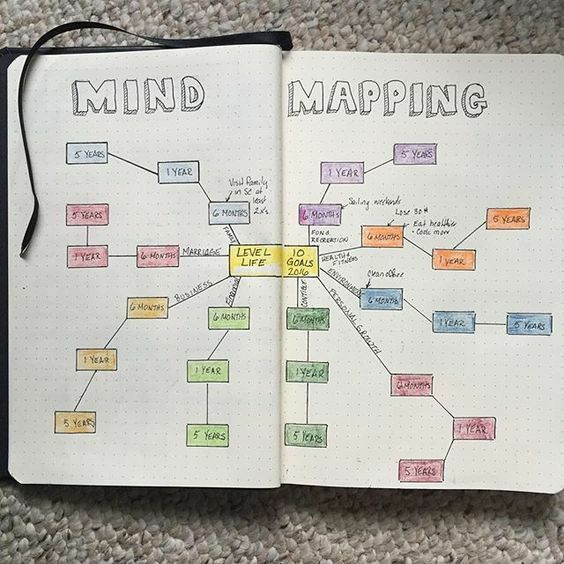 I first learned about mind mapping in a seminar a few years ago, when one of the staff would write what the speaker was saying through words in boxes and lines. And I saw that it can provide a great summary of the lecture. 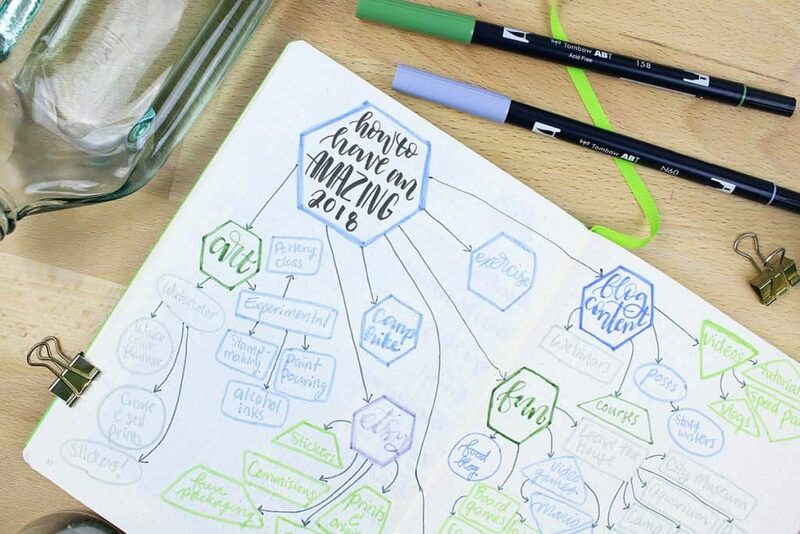 However, mind mapping is not limited to summarizing lectures. It can be applied into other things like brainstorming ideas, goal setting and self care ideas. I’m not good in remembering dates. 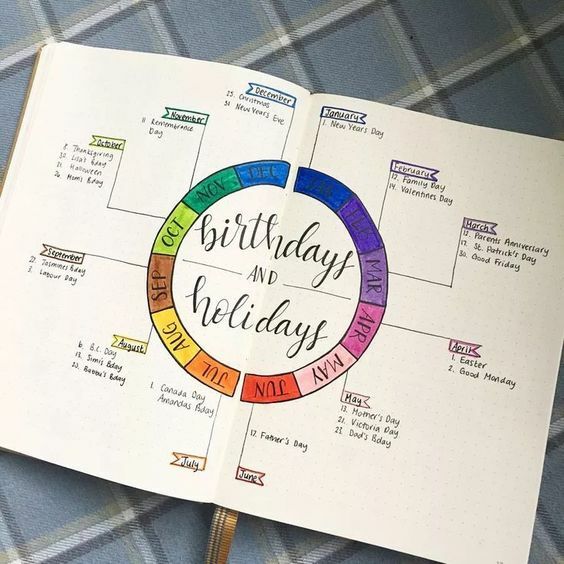 Well, that’s why there is a Birthdays Page in Bullet Journals! How to style it is completely up to you. Here are samples to get ideas from. 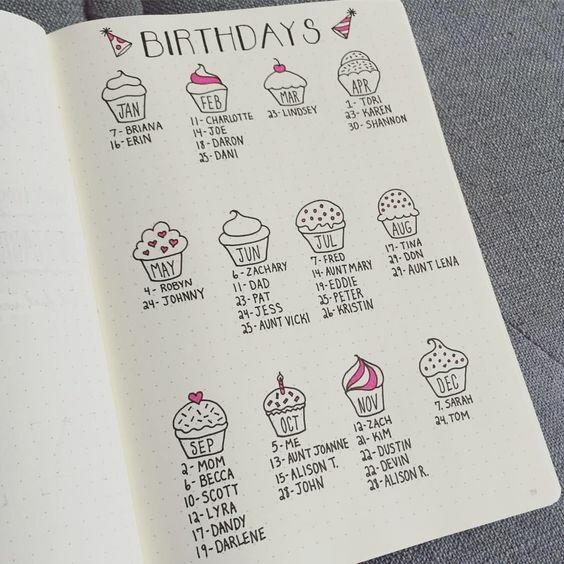 If there’s a bullet journal page that keeps everyone’s birthdays, you can always add another to plan a birthday party! 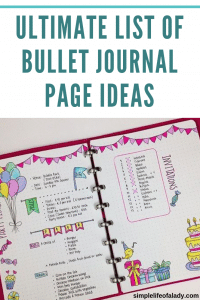 Whether it’s your own birthday, your kid’s, your parents’, your hubby’s or your friend’s, a bullet journal page can accommodate every party detail you have in mind. 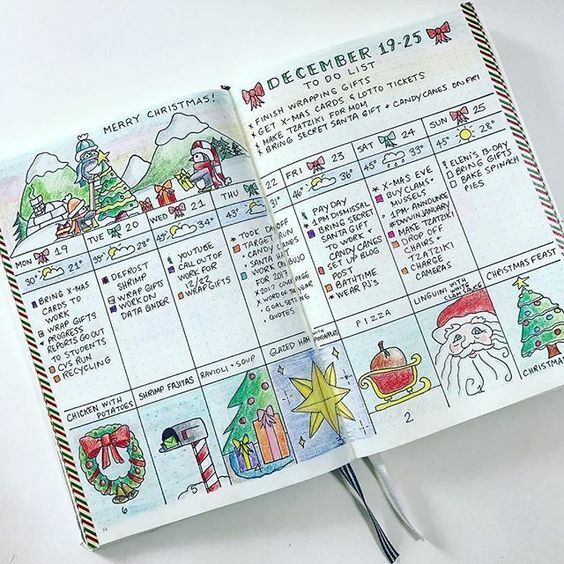 Plan how your holidays are going to be meaningful each time, with a bullet journal page specifically made for it! 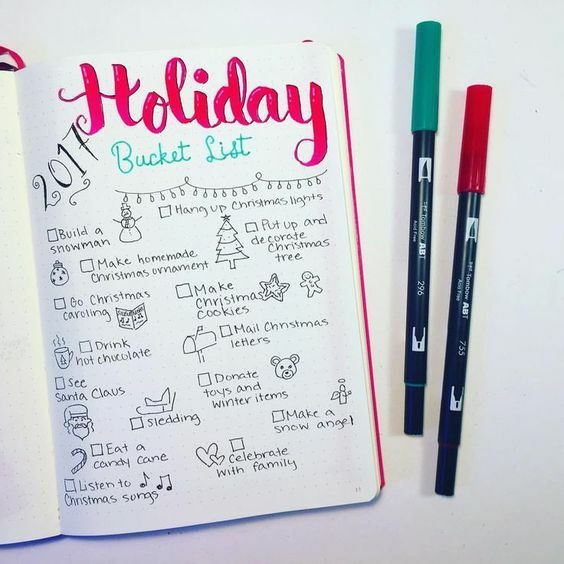 It can be in the form of a simple bucket list that you plan to do throughout the holiday season, or a very detailed plan of each activity that you need to accomplish daily to prepare for the big holiday event. 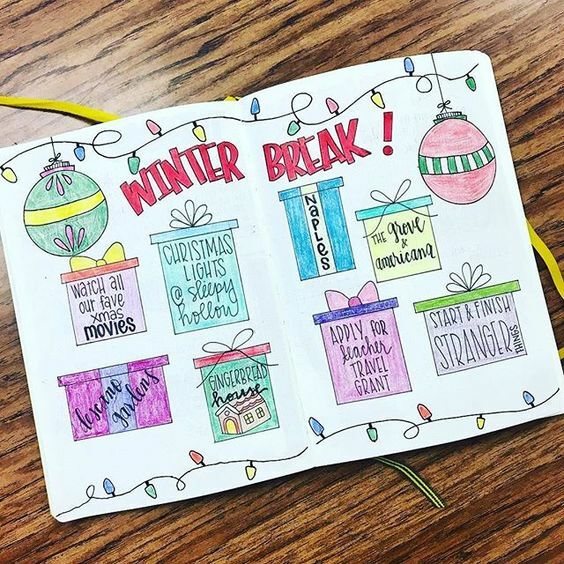 So whether it’s Thanksgiving, Christmas, and any other holiday, a page just for it is sure to help you make everything memorable and fun! You can add a simple calendar for reference and just to remind you of today’s date. 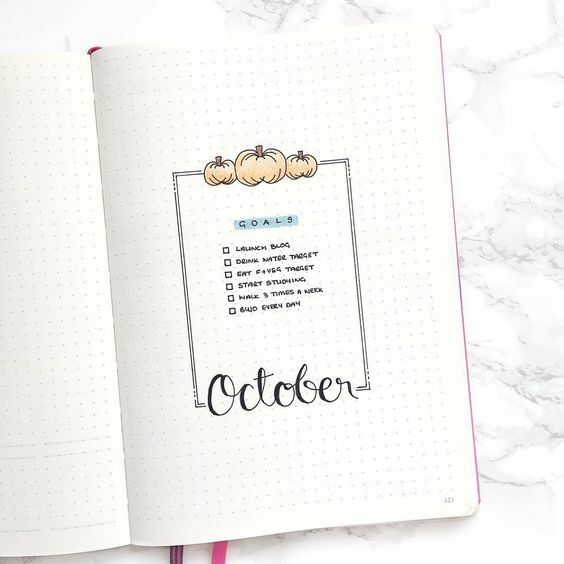 You can also make a calendar in boxes which functions like a planner – where you can write reminders for each date and add your goals and some notes for the month. 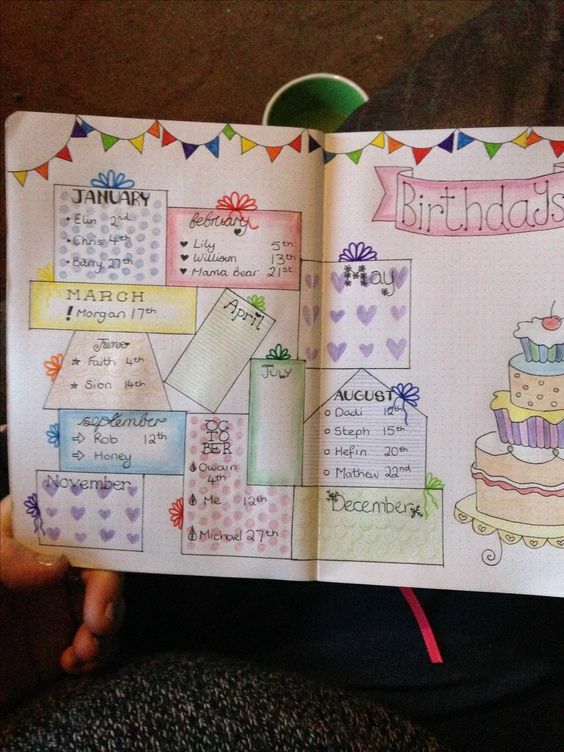 Here are more ideas to help you decide your monthly calendar’s designs. Click the image. If it doesn’t work, sign up HERE. 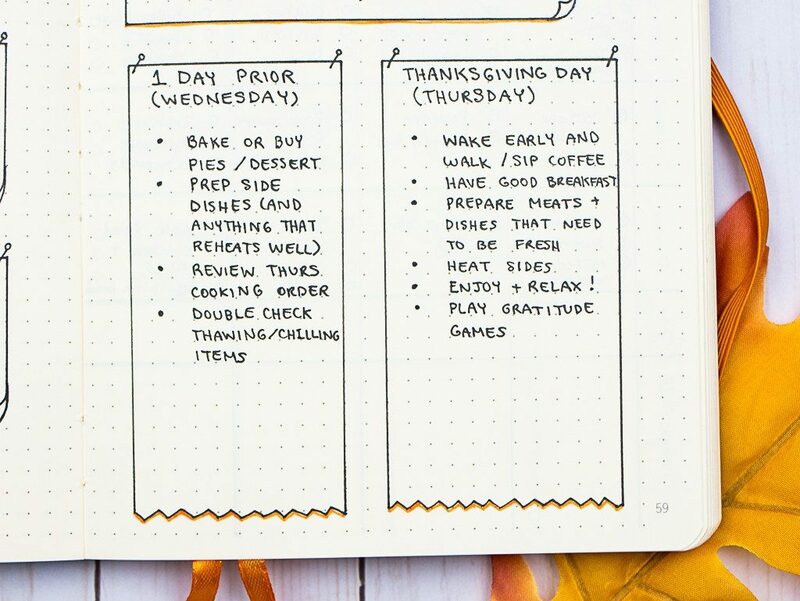 Keep track of all your weekly tasks with a weekly spread. 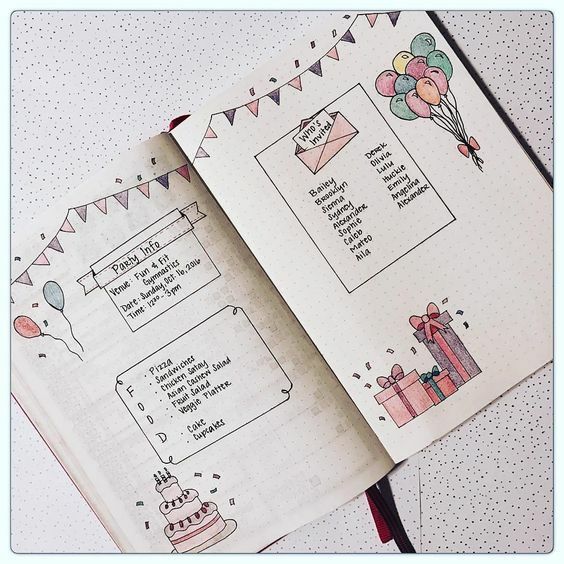 You can opt for something like the minimalist’s style, occupying the whole two pages of a journal, with decorations ranging from less to nothing at all, and colors, mostly just black and white. 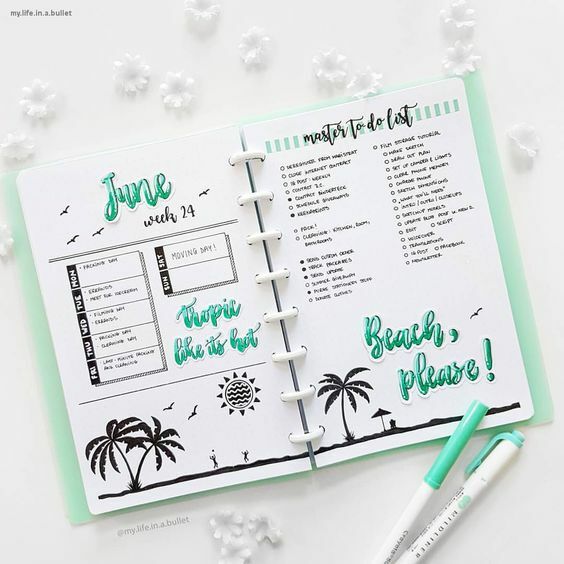 Or you can have just one page for a week, with a few colors and decorations, along with sections for other things you want to remember like quotes and your goals for the week. 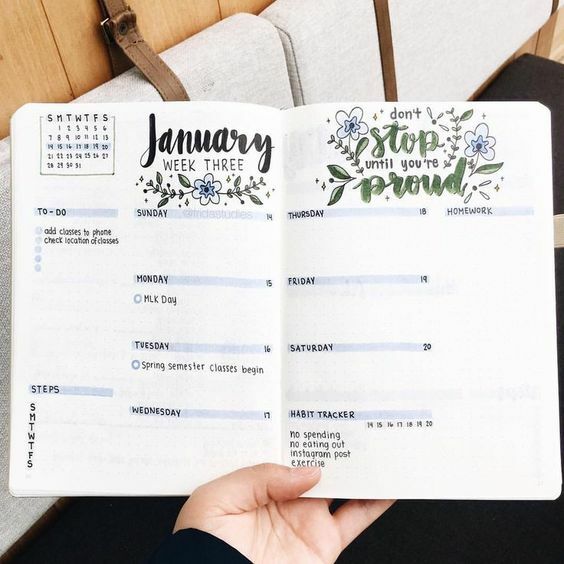 You can also make one with other few sections like a small calendar on top, a list of to-dos, a habit tracker and a really artistic page title. Whichever your prefer, that is completely up to you. Here are more ideas from Pinterest boards so your options are not limited to just three. 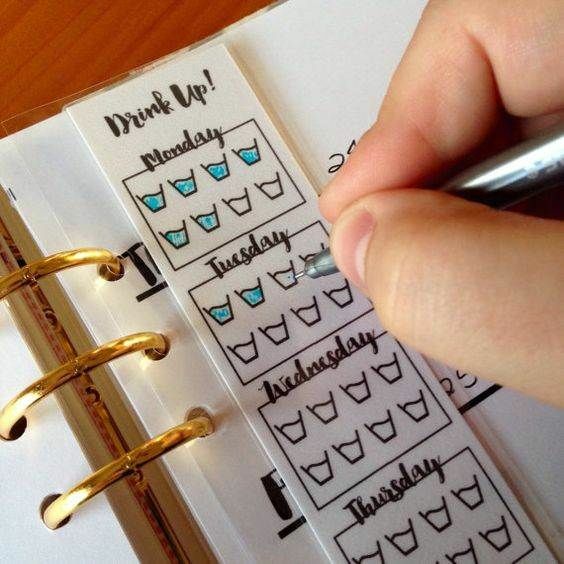 Monitor everything you have to do in a day with a daily spread. 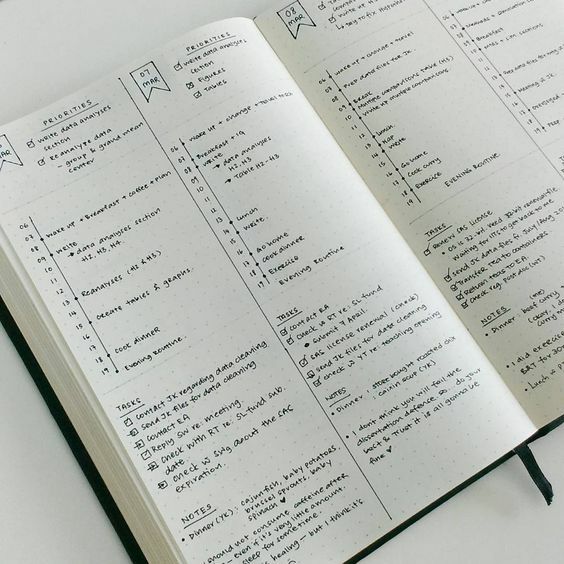 List your priorities throughout the day and other tasks that you need to complete. 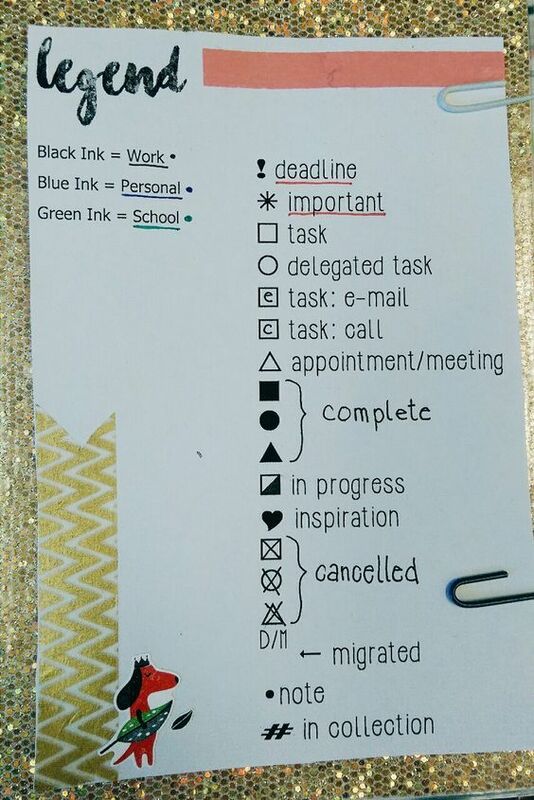 You can even go further as to list what you will do every hour. 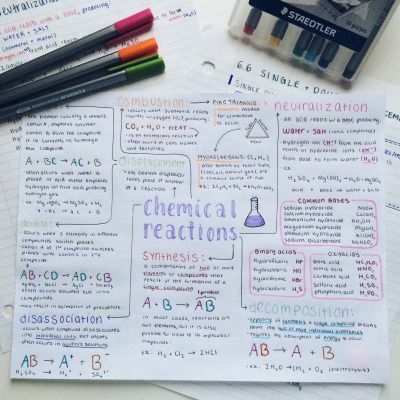 And if that’s not yet enough, add more notes. 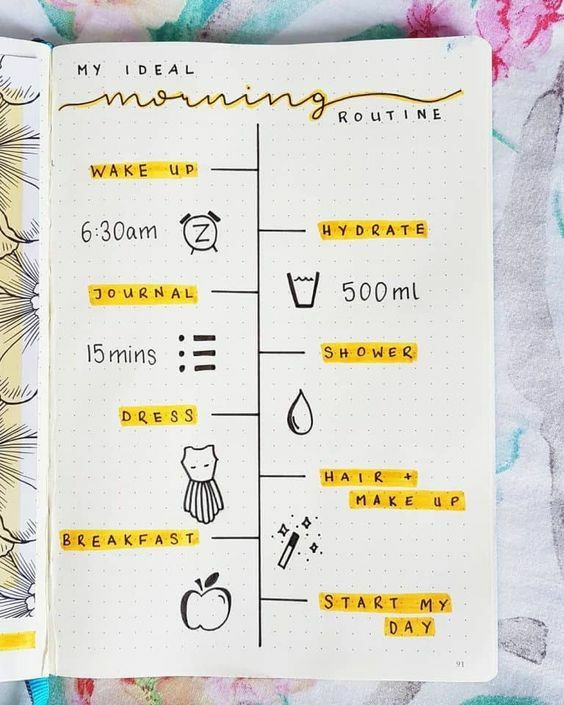 It can also be just a collection of tasks that you will have to complete each day, with some really nice artwork for inspiration. 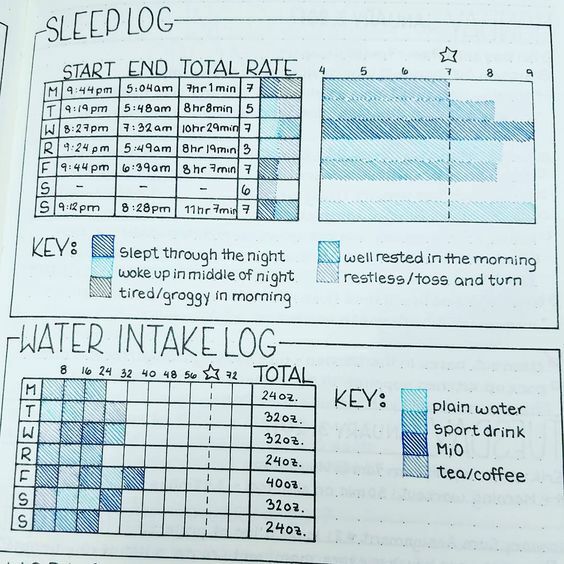 You can also divide your bullet journal into sections to separate your work and personal priorities. 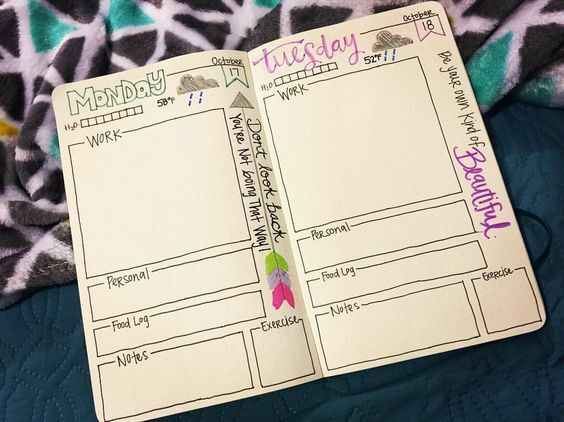 For more daily spreads that you can copy, check these out! 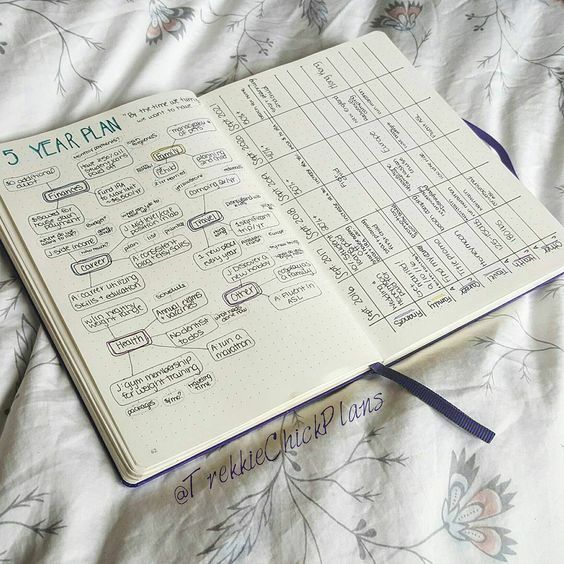 A 5-year plan page is one of the greatest additions you can make in your bullet journal. 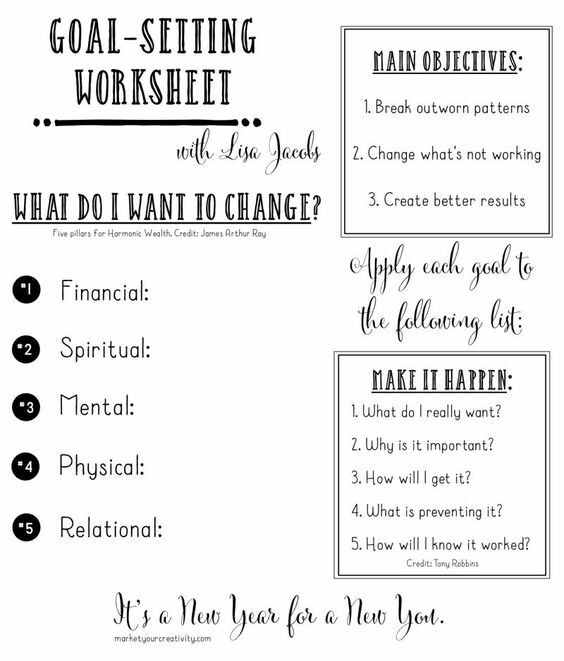 Having a plan gives you direction in your life and helps you craft the steps you need to get to where you want to be. Then whatever plans you make every year should be aligned to your life’s values and to your long term endeavors. Where do you want to be in your finances, career and relationships five years from now? 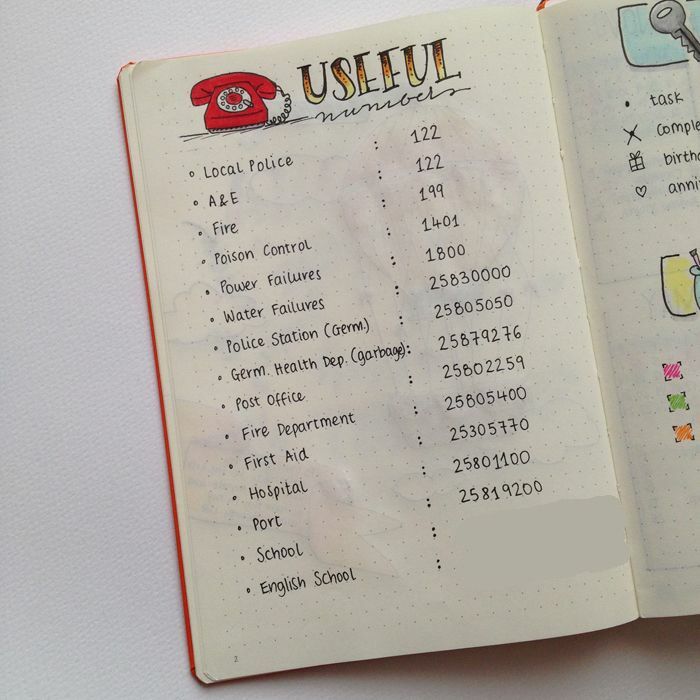 Create a page in your bullet journal where you can write your answers to that. And if one day you start getting this crappy feeling of not knowing why you do what you do, return to this page and evaluate whether your actions are helping you to be where you want to be, five years from now. 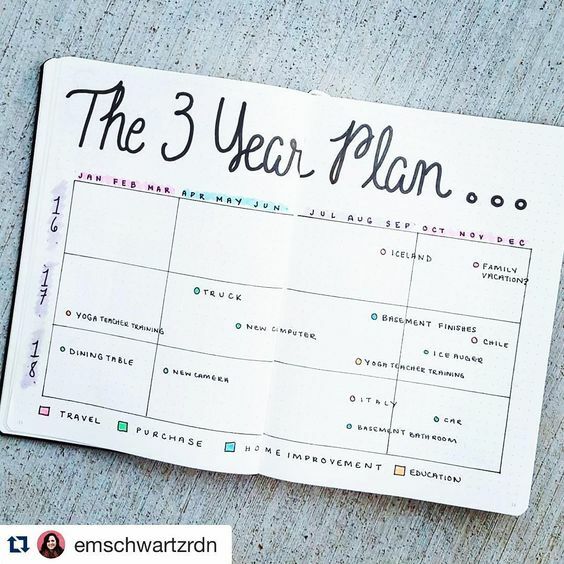 If a five-year plan seems daunting, you can opt for smaller increments, like a 3-year plan. 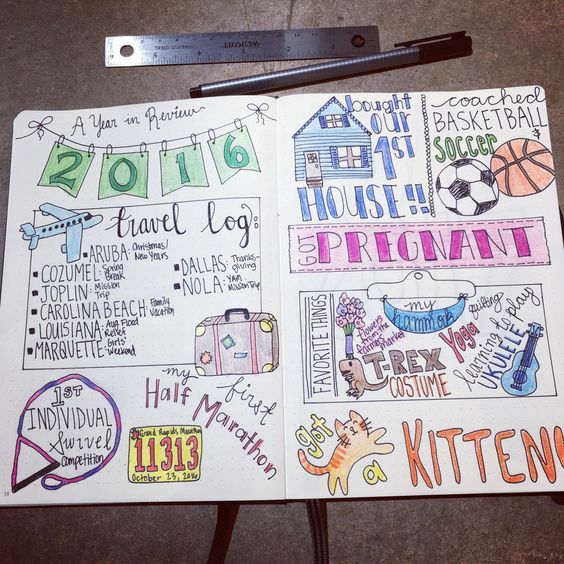 Get clarity on what you should be shooting for the current year by writing down your goals. Get more clarity by dividing them according to each area of your life. The usual are Career/Business, Self, Social, Finances, Family & Spiritual. Add more category as you see fit. And be guided by what you have written in your 5-year plan or 3-year plan. You pick how these will look like. 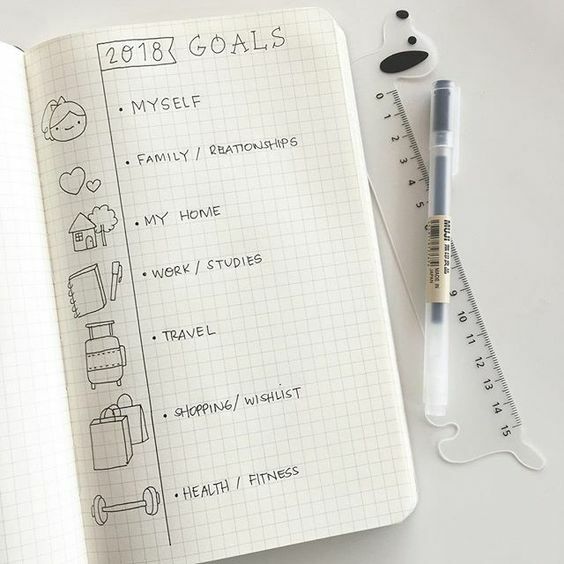 It can be as concise as a simple list of your goals. 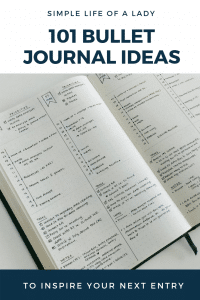 Or it can be something that you’ll break down into goals and tasks and another page dedicated to a specific project for that month like blogging. 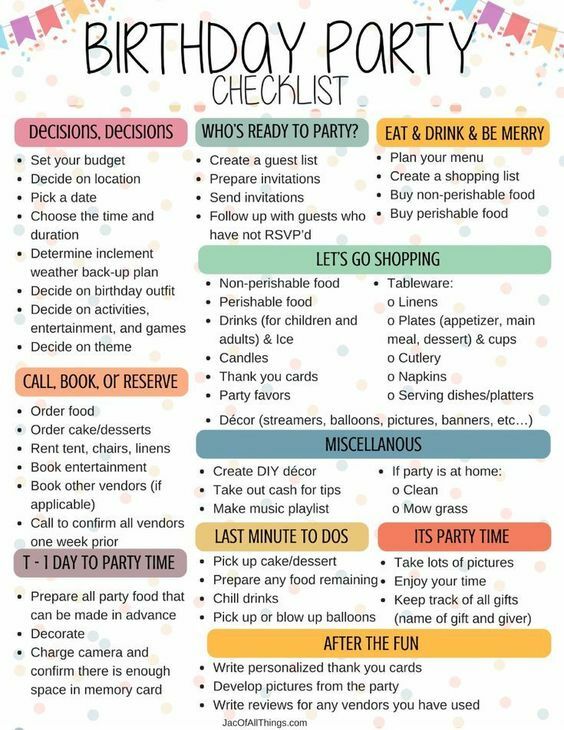 And it can also be a master list of to-dos for that month. 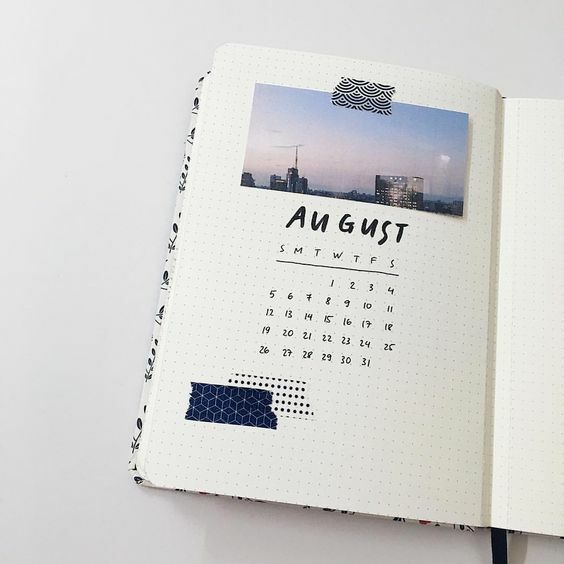 You can add a monthly review page in your bullet journal. 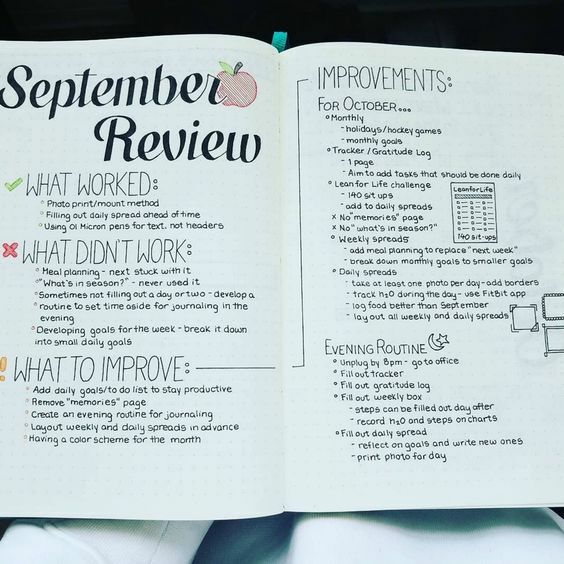 You will love a monthly review because it gives you a quick glance on how you are progressing in your goals. 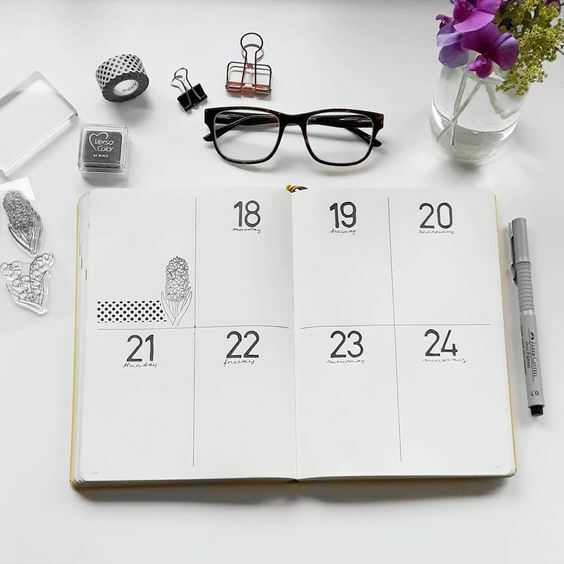 This is your big chance to notice that a lot of things can indeed happen in a month! Seeing progress every time is motivating and inspiring to continue exerting the efforts needed to achieve your goals. If there’s a monthly review, of course you couldn’t miss an annual review! 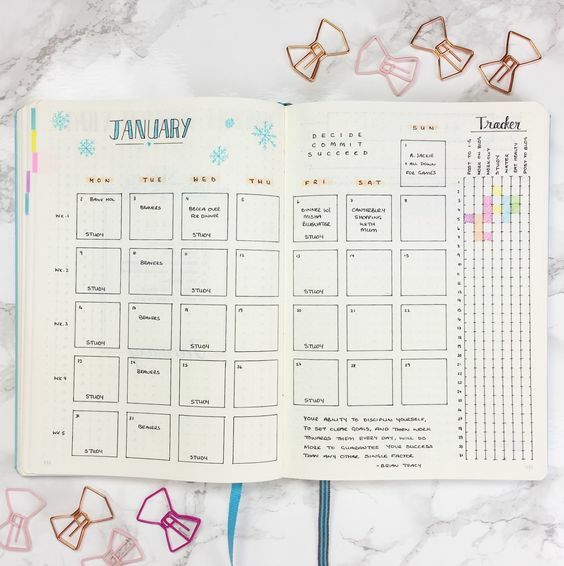 Take note of the major and most memorable things that happened during the year, collate all your successful stories in one place, and evaluate whether you achieved your goals. 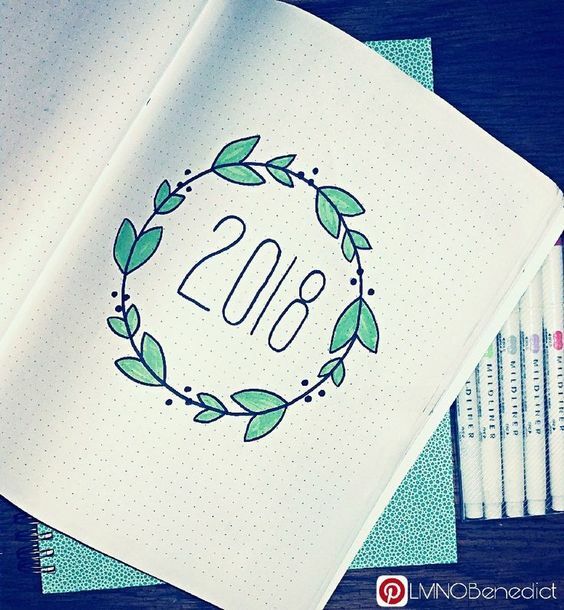 This is very significant because you may feel like the year just passed and maybe there were so few accomplishments and many are still left undone. Well… even if there’s but a few, it’s still worth collating and remembering. And when you put them together in one place, you may come to realize, hey, this may not be a very bad year after all. 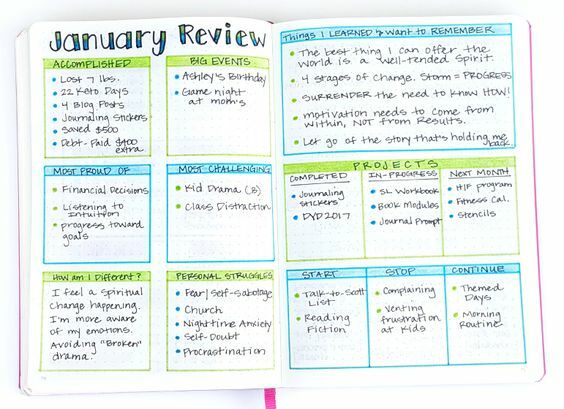 This will work even better if you have monthly reviews because you can put the major events in the annual review page while saving the details of each in your monthly review. They say that mornings can make or break your day. While I don’t really buy that thinking (because I believe that whatever ‘negative’ happens in the morning doesn’t have to weigh you down in the afternoon and until nighttime coz you can definitely snap out of it by how you respond), well it is still better to have a morning routine that makes you ready for anything than something that ‘just happens’. 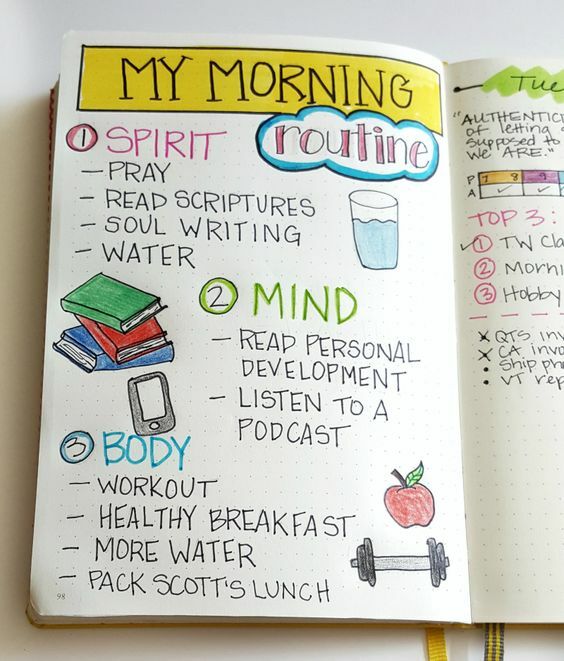 So what happens in your mornings? How do you want them to look like? 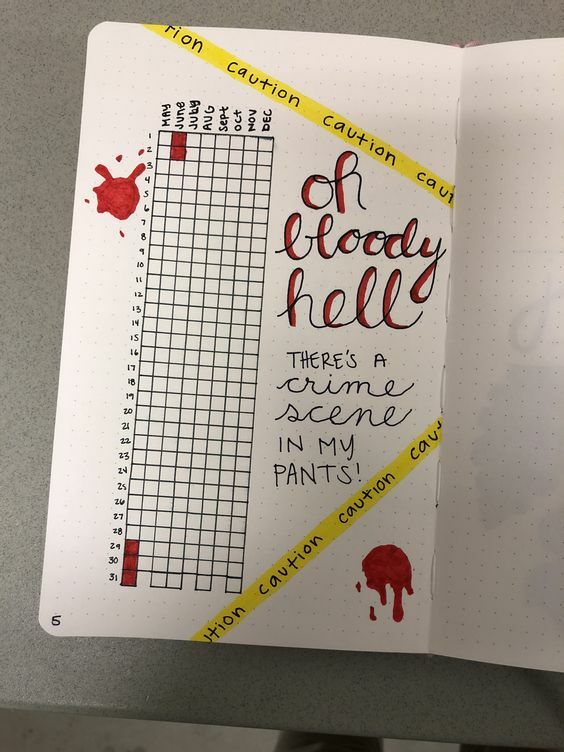 Bring them out in your bullet journal! 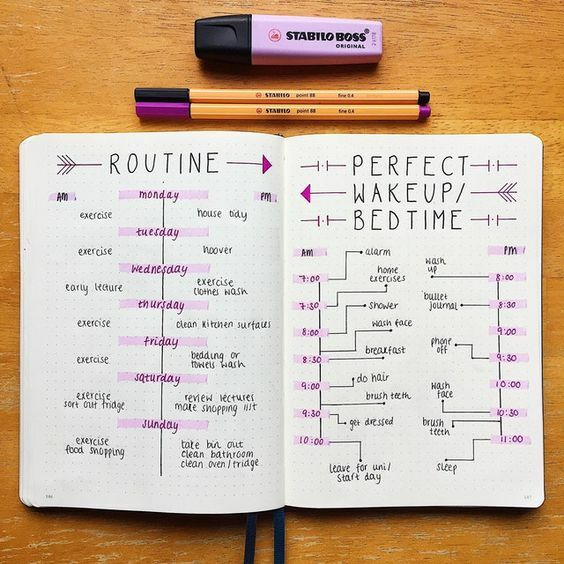 If there’s a morning routine, of course there’s an evening routine! 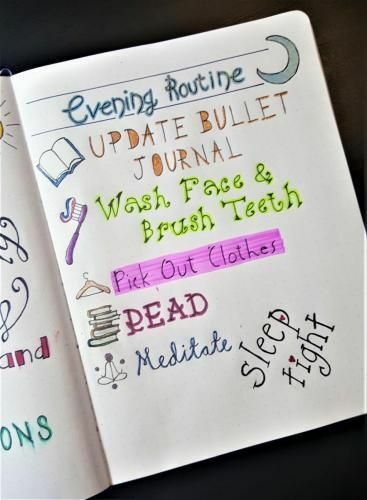 Besides, there are activities that you have to do at night (like preparing your clothes and things) if you want your mornings running smoothly. And there are small things you can do to increase your chances on waking up feeling good and refreshed (like clearing your nightstand to avoid knocking things over). 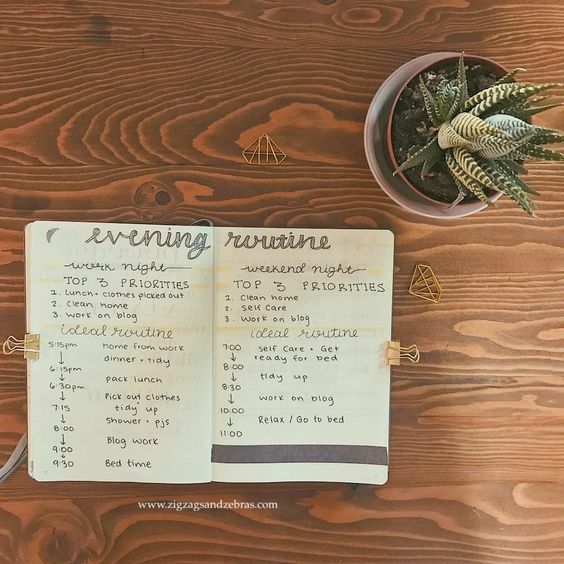 So if you have added a morning routine in your bullet journal, you will also find it necessary to add an evening routine page. 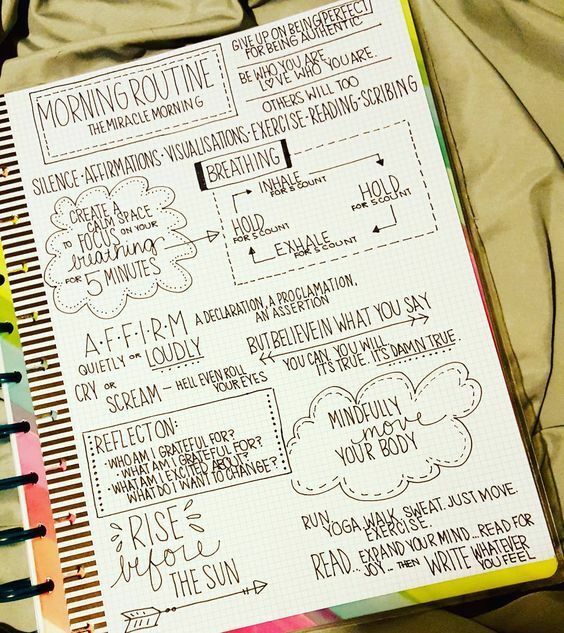 If it’s not that much, you can just combine your morning and evening routines in a single page! 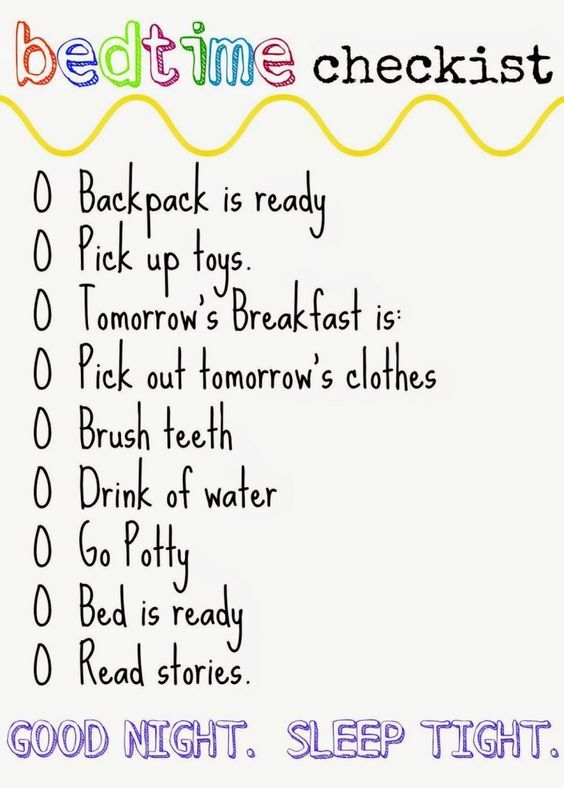 What do you need to do to get your kids clean, organized and ready? 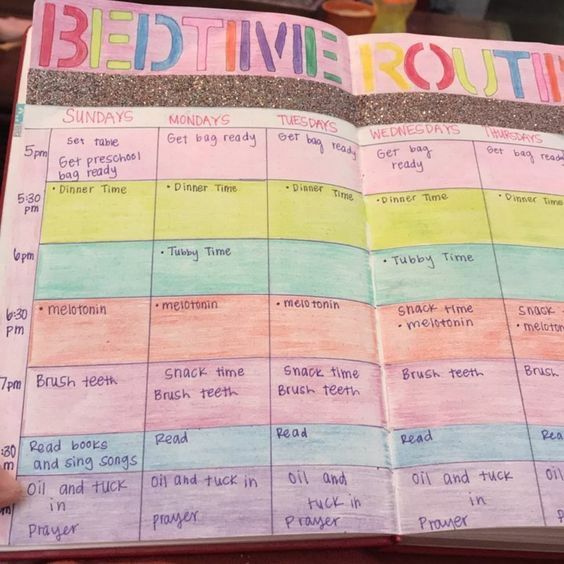 Lay them all out in a page just for your kids’ routines! 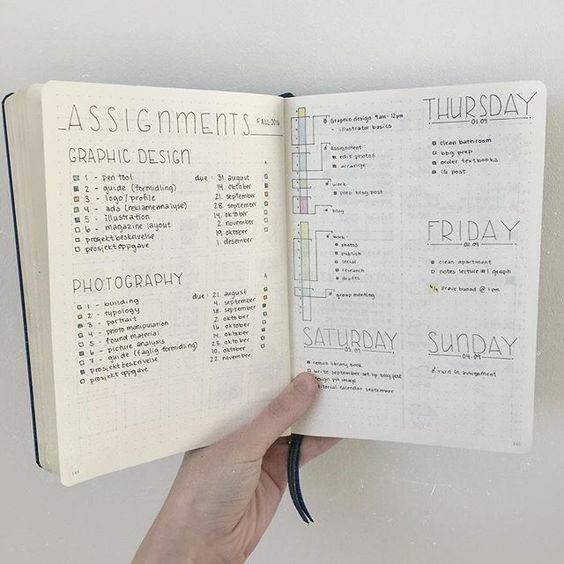 Whether you work at home or outside, you can use your bullet journal to record everything that you will do in your working time. 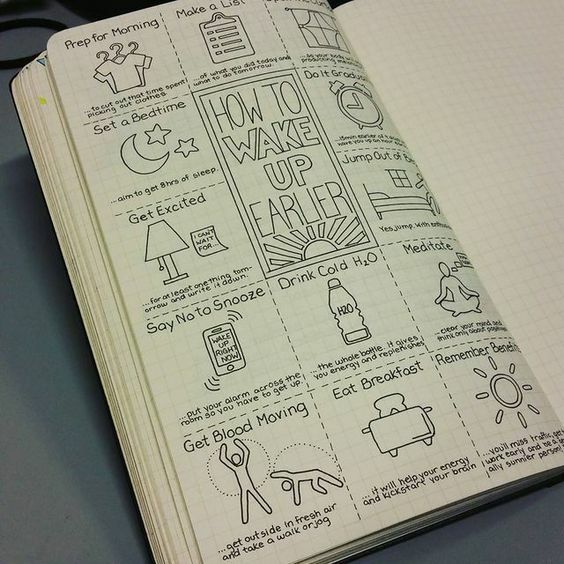 Don’t you think you deserve a better weekend rather than just for oversleeping? Unless of course, you had no sleep for the past 24 hours. Reward yourself for going through a hectic week by making every weekend relaxing and meaningful. 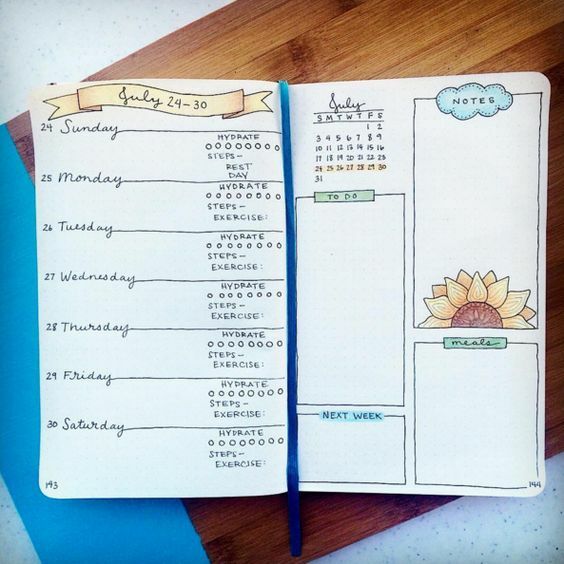 Plan it ahead by adding a weekend planner page! 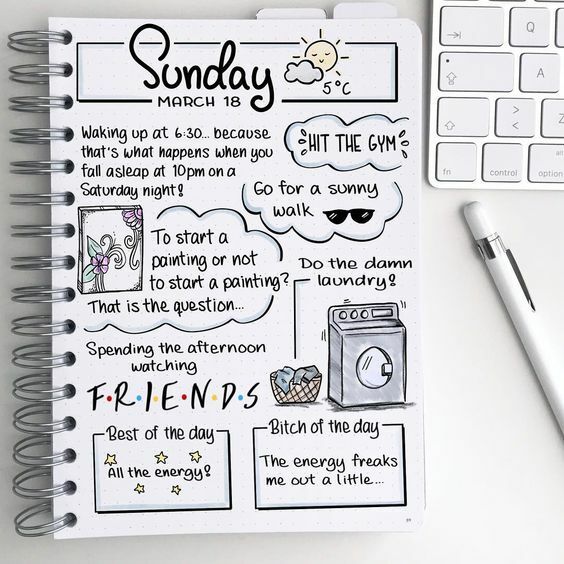 If you take your time to plan what happens during the weekdays, you definitely should have some plans to have a refreshing weekend! 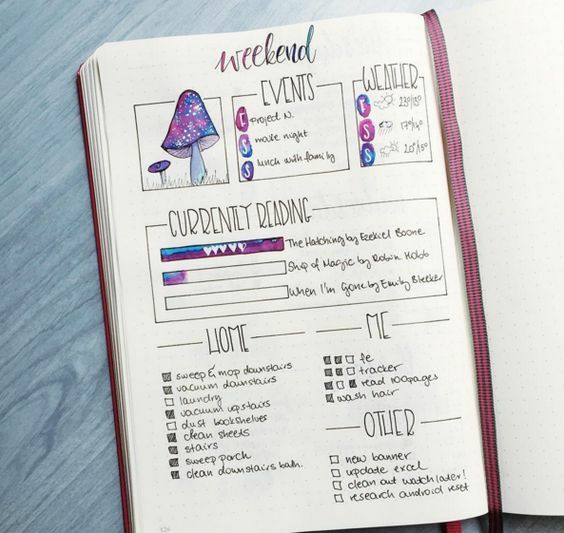 Of course you can just include it in your weekly spread, but a whole page just for planning will inspire you to think outside the box and make each of your weekends a more unique experience. 25. WHEN DID I LAST…? Do you have these little jobs that you often forget? Tasks like washing the bed sheets, cleaning out the fridge, or just changing your toothbrush. You don’t do them everyday, but you want to do them regularly. That can mean once a month, once every three months, etc. 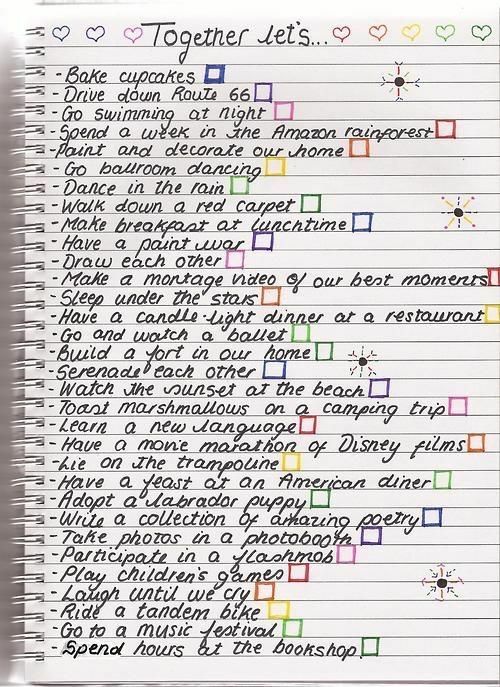 The thing is, you often forget when was the last time you did any of these. So you’re not sure when you should do them next. Well… good news is… you don’t have to forget when! 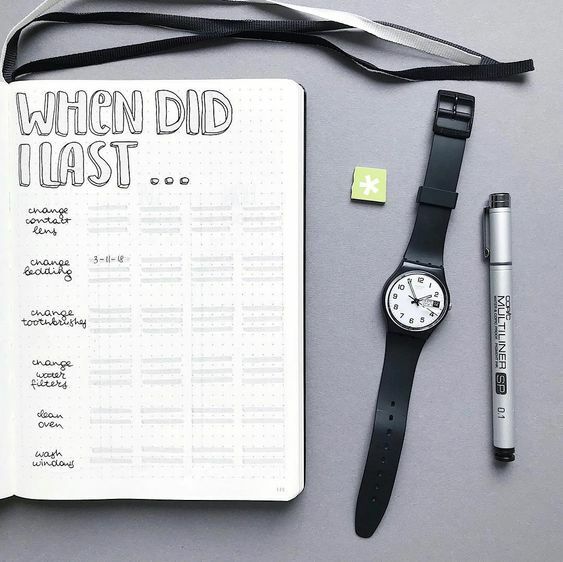 By adding a When Did I Last page in your bullet journal, you can keep track of these specific tasks. 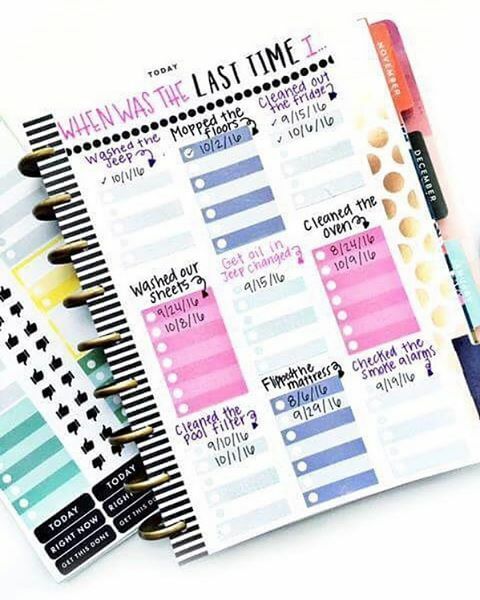 All you have to do is jot down the date when you do each of them. 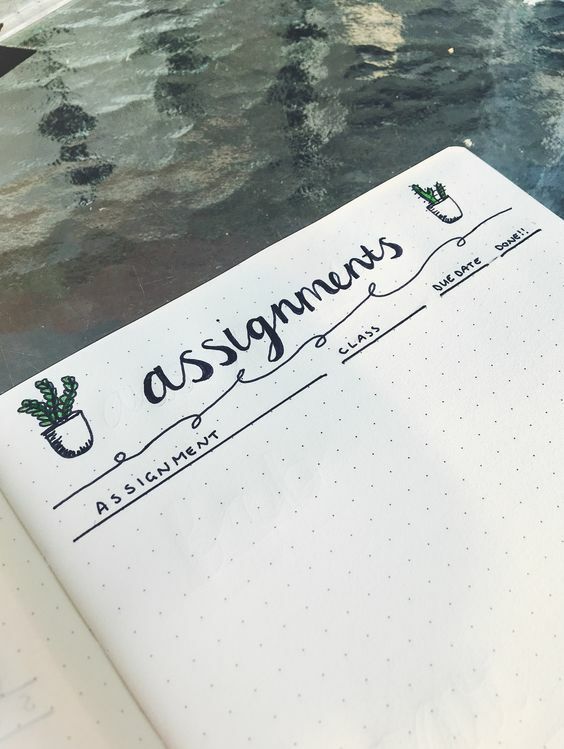 If you’re a student, this is a page you don’t want to forget. But don’t worry, because this is pretty easy! 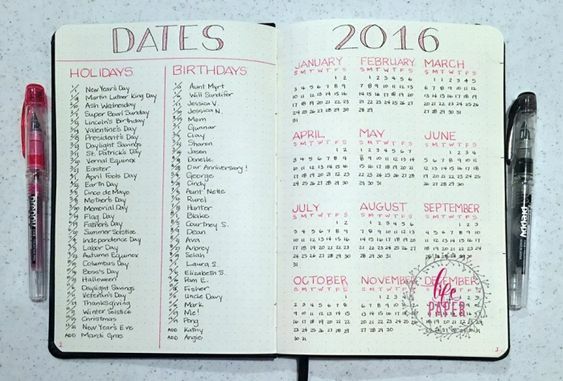 Basically, you just create columns for each day and write the time at the left part of the page. Then just classify your subjects inside. 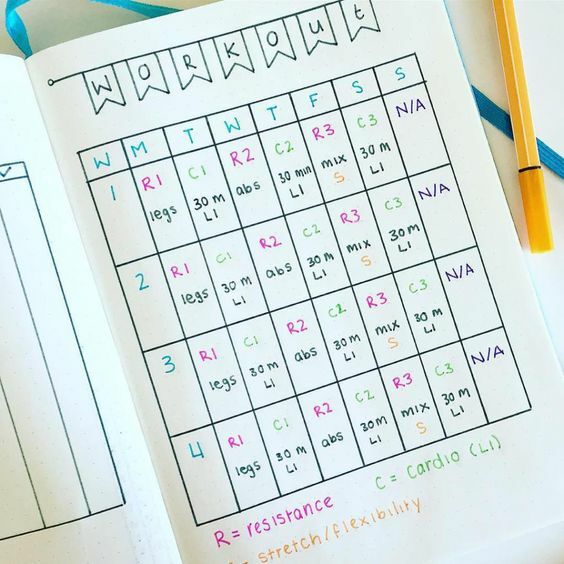 And you now have a class schedule in your BuJo! The artwork of course depends again on your taste. 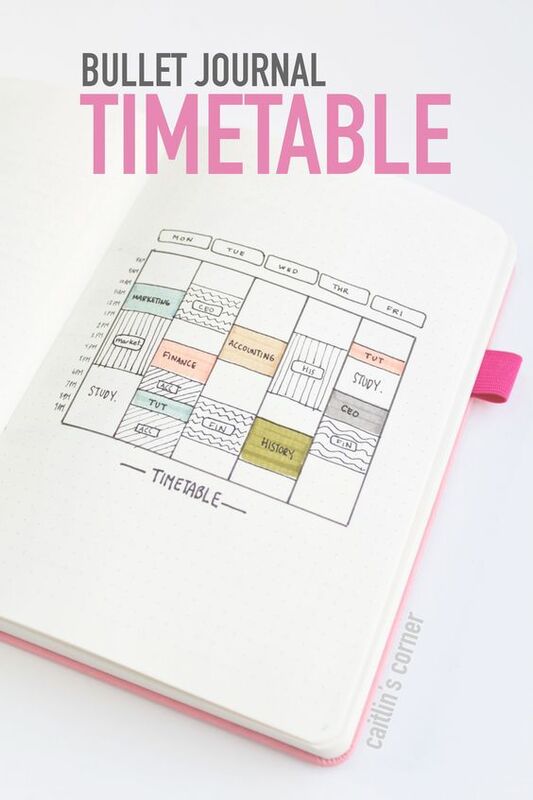 It can be simple minimalist – just pure schedule. It can also be one with a few colors. Or something really colorful that comes together with an inspirational quote! 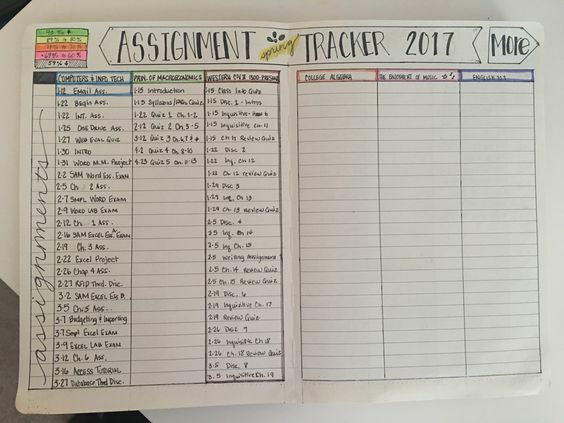 Another thing you don’t want to miss is an assignment tracker. 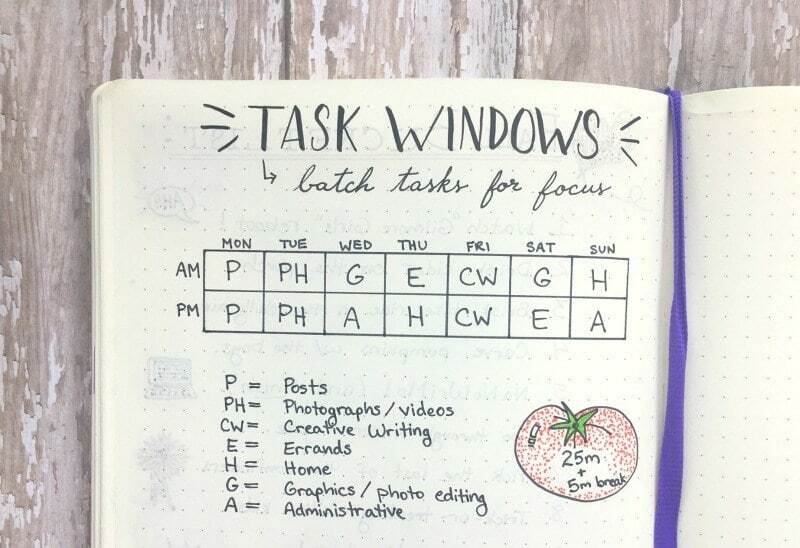 Keep track of all your homework in each subject, making sure you don’t miss anything. And remember to always always always include the deadline. 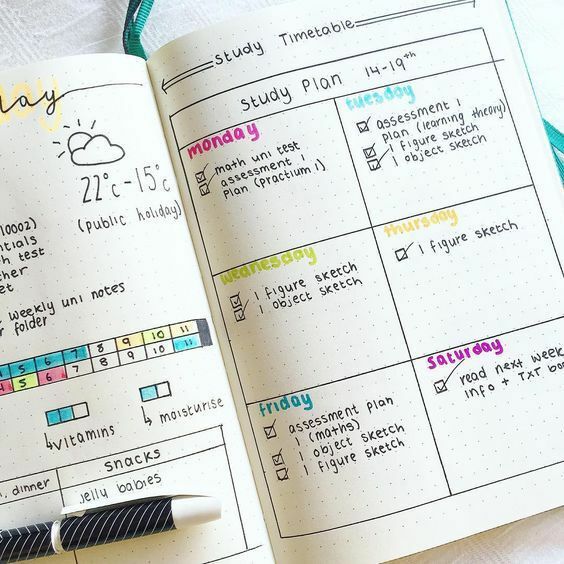 Plan how much time you are going to devote in each subject (especially when it’s Exam Time) with a study timetable in your BuJo. 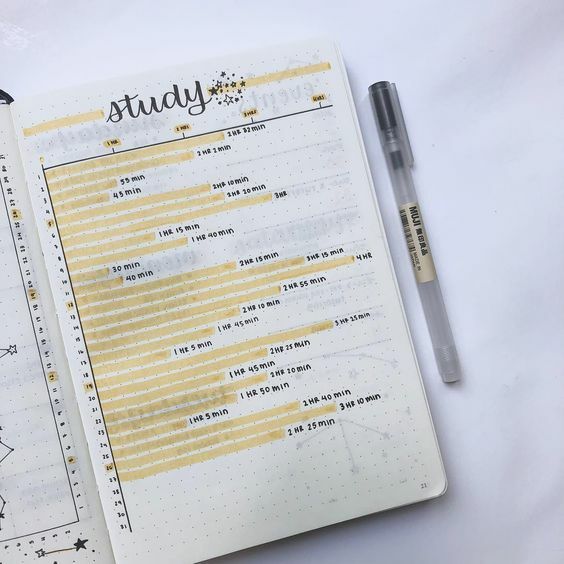 You know how time flies when you have lots of things to study so this one is very important. 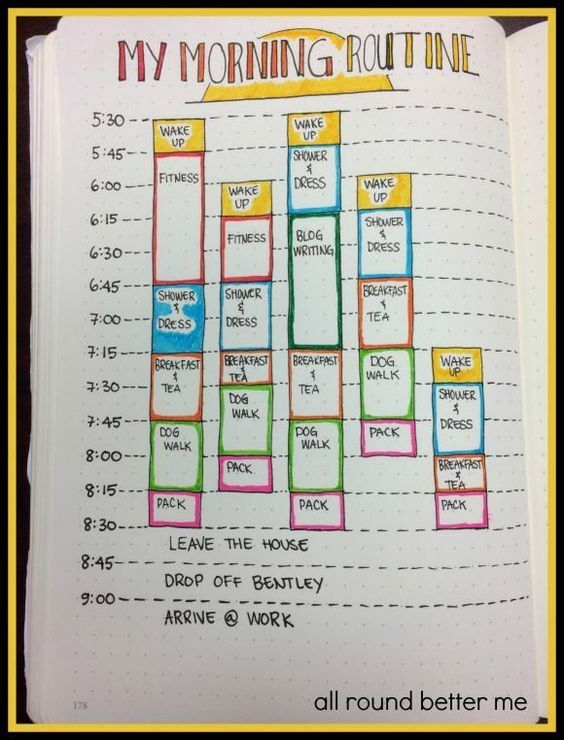 Manage your time well. 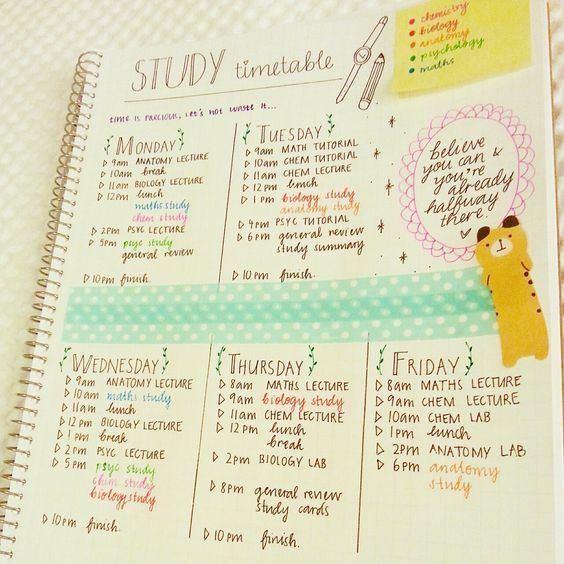 Determine which subjects need more time to focus on and adjust your timetable accordingly. 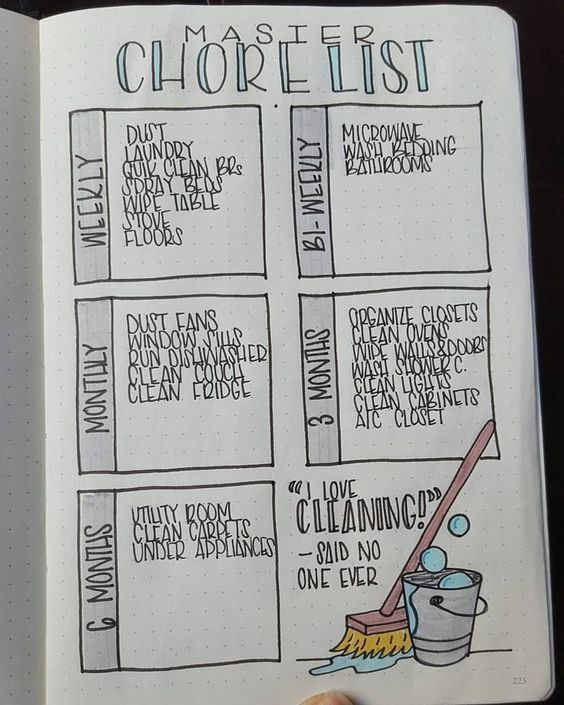 You know the overwhelming feeling of having to clean the whole house, right? Well it doesn’t have to feel that way, if you know how to strategize. 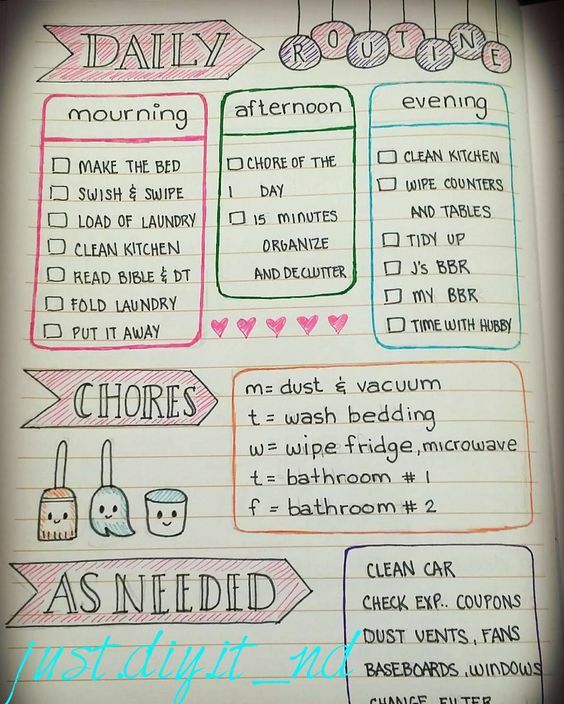 One of the best things you can have is a cleaning routine – a list of chores and how often you should do it to maintain a clean and organized home. 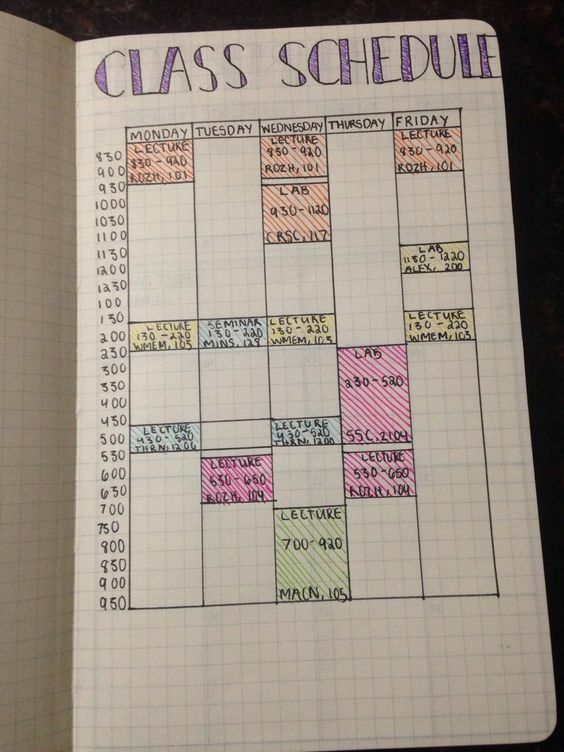 Include your schedule so that you know exactly what to do and when. 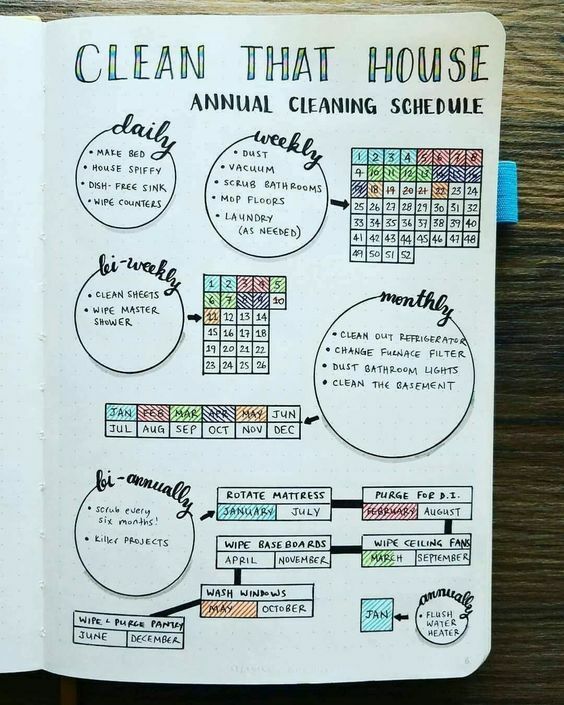 If there’s a cleaning routine in your bullet journal, you can not leave out a cleaning checklist. 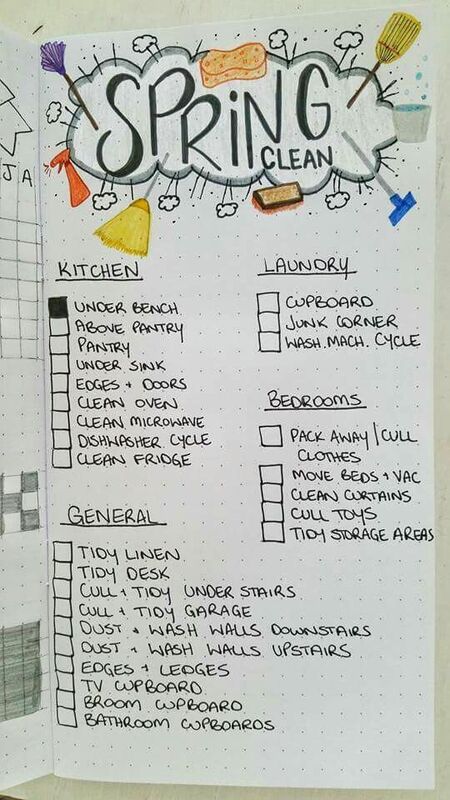 Having a checklist handy gives you a breakdown of the cleaning that you have to do, so that you can tackle it per area, making you manage the little messes over time. You can even delegate some! And when an area is done, you check it! 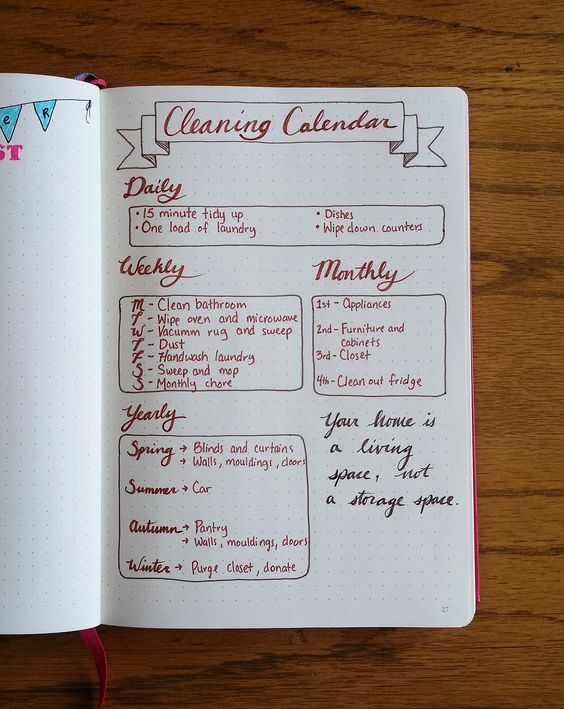 You can narrow down your cleaning checklist and make it more specific, like a page for Spring Cleaning. 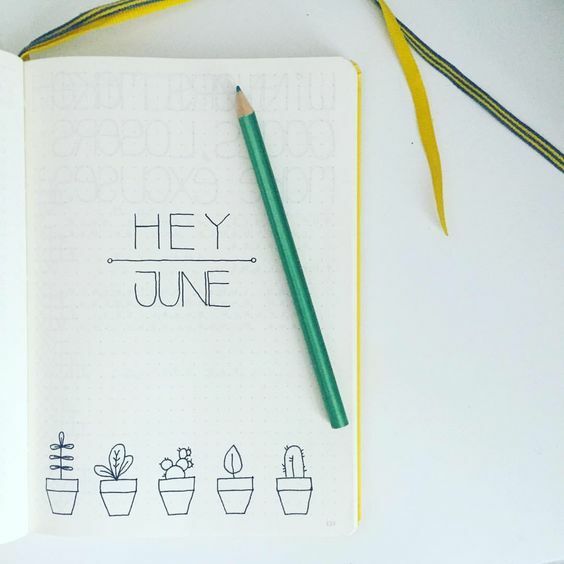 Spring is a beautiful season, and with it are the best times to take a good and deep look at your home and love it even more by spring cleaning! 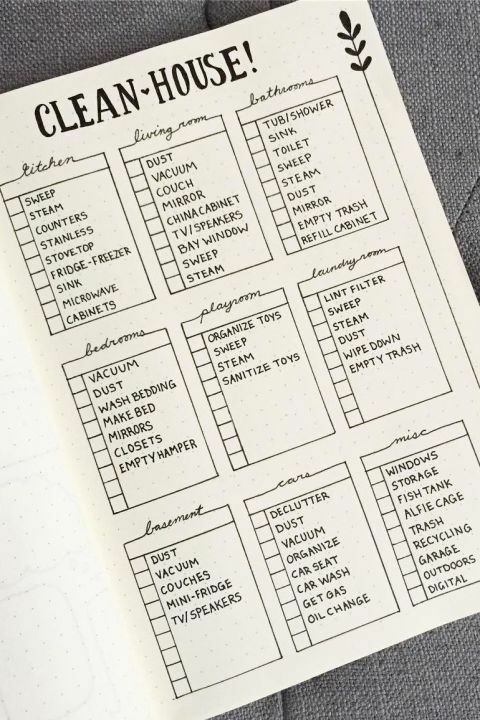 And a spring cleaning checklist will come in handy. 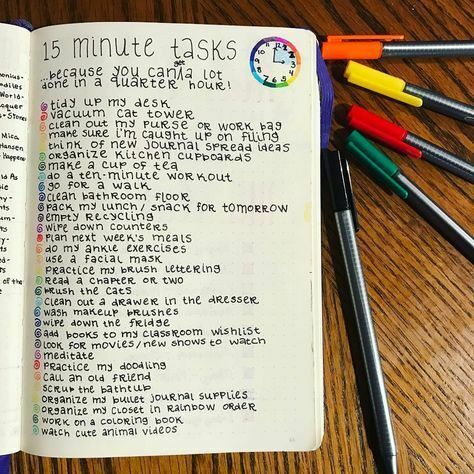 It helps you focus even if you are easily distracted and you need to work hard on completing a task. It also gives you a sense of accomplishment and a good view of what you have done and what remains to be done. 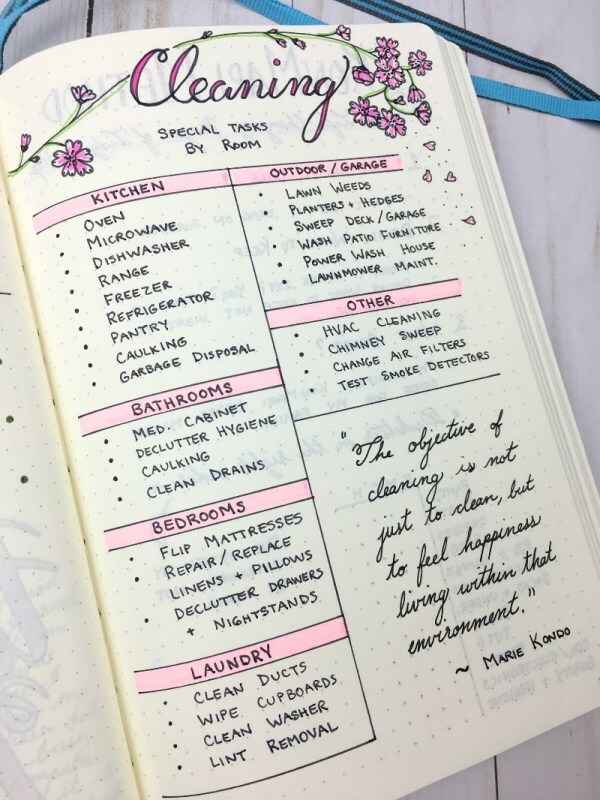 So if you are on spring cleaning, add that page in your bullet journal. Developing a good plan for healthy living is the first step to improving your health and the quality of your life. 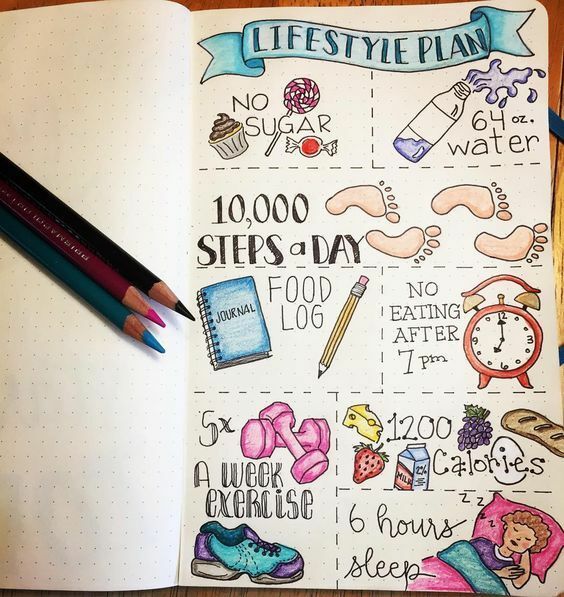 What will you do to make your lifestyle healthier? If you want to lose weight, this is just the next thing for you! 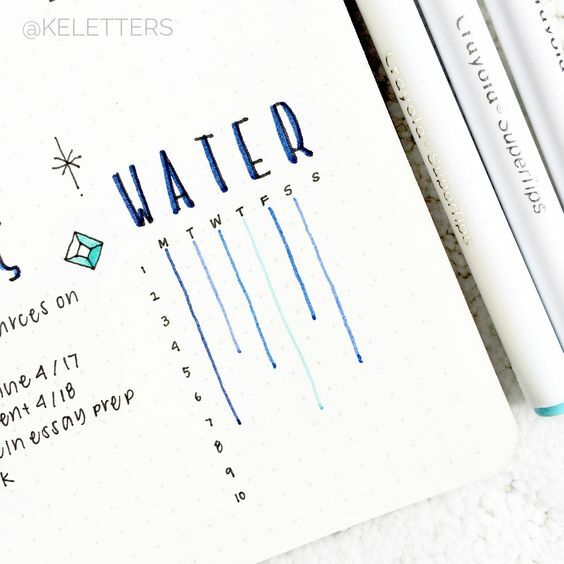 This bullet journal page can be your weight tracker at the same time. 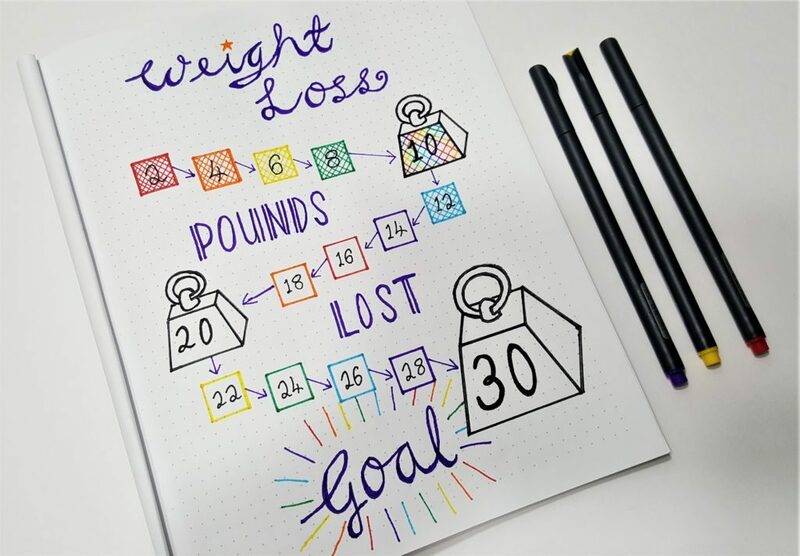 What is your target weight? Write it down. What is your current weight. That’s the starting point. Then in between are your milestone weights. 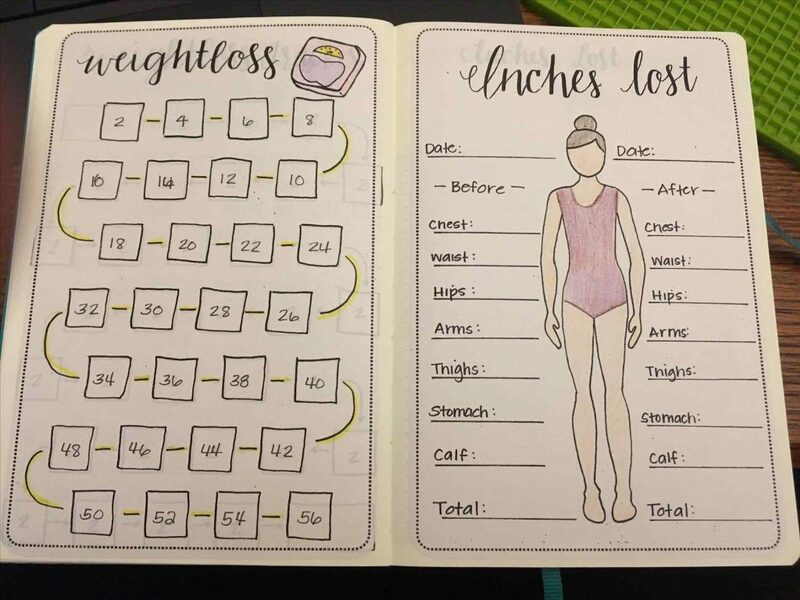 You can also track it in terms of the amount of weight you’re losing. Either way, it can work. Just depends on what you prefer. That would be you in a couple of months, right? Losing excess weight will not only get you healthier, but it will also help you get your body back in shape. And who doesn’t love a great body? 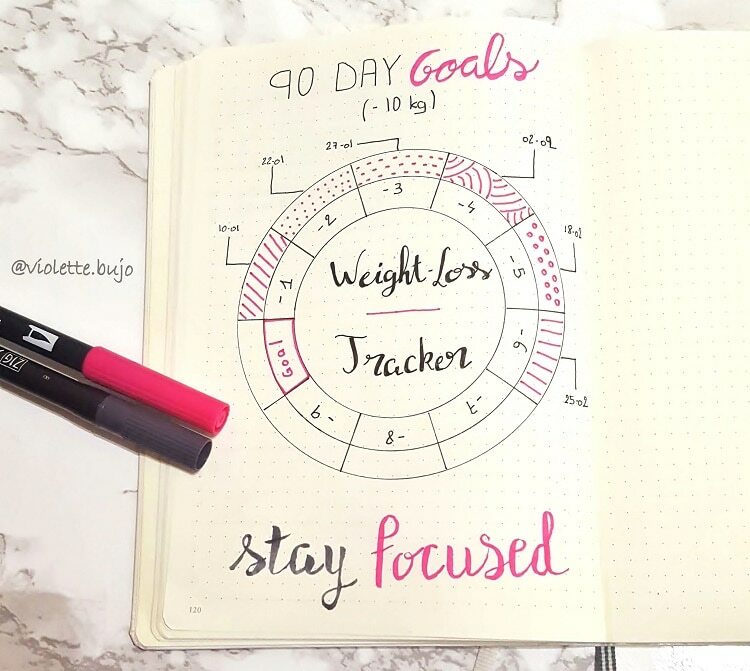 If you’re not just opting to lose some weight, but you also want to monitor the overall shape of your body, you can add a Body Tracker to your bullet journal. 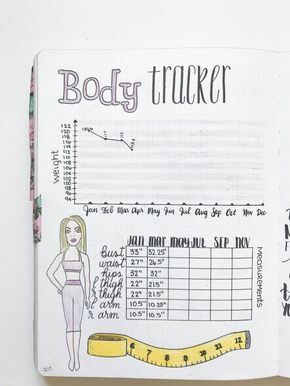 Track how many inches you lose every month and see how your body is slowly getting the statistics that you envisioned. 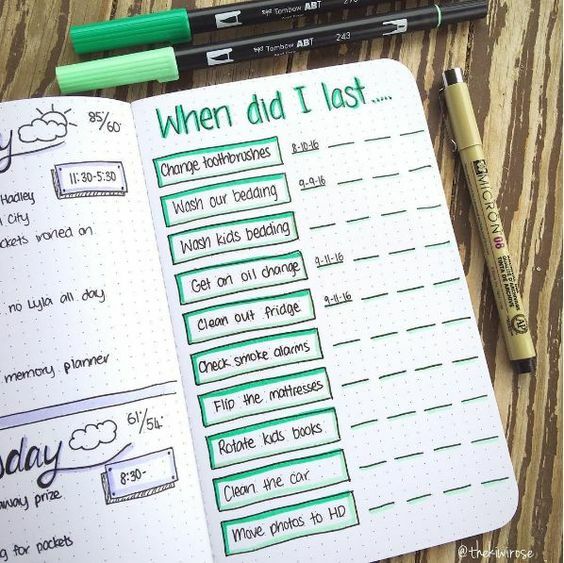 Or… you can just add another page to track the inches that you’ve lost over time. 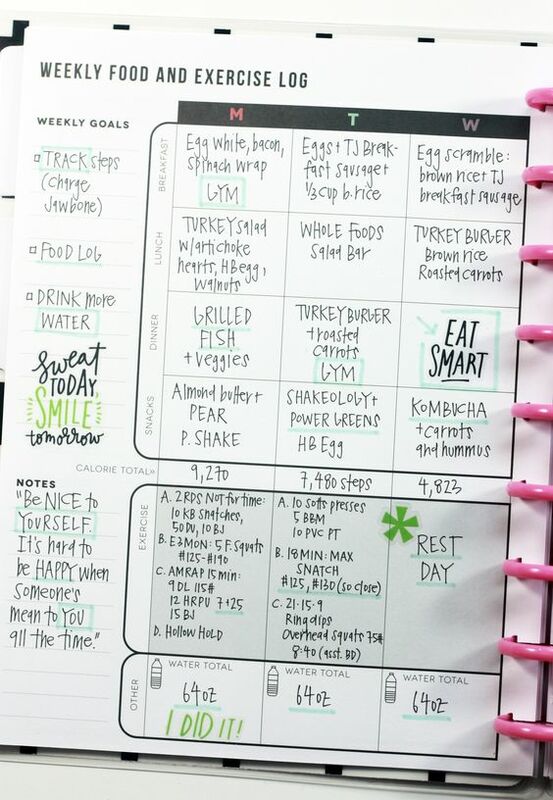 Lay down your workout plans to achieve your fitness goals. What exercise are you going to do each day? 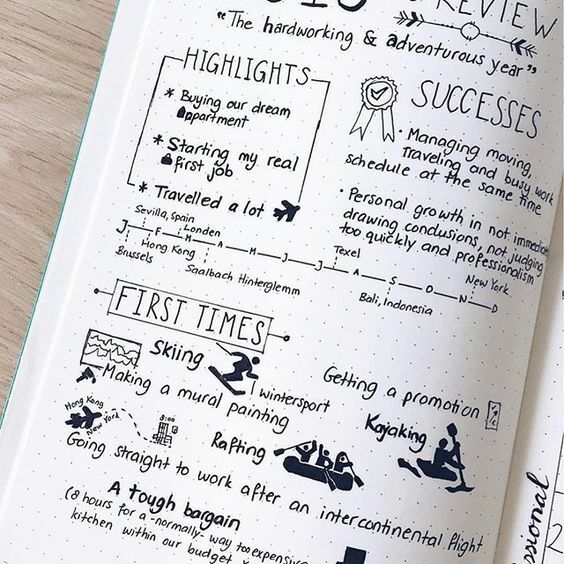 When it’s written clearly in a journal page, it is easier to follow through, than when you have to think every time, ‘what exercise will I do right now?’. 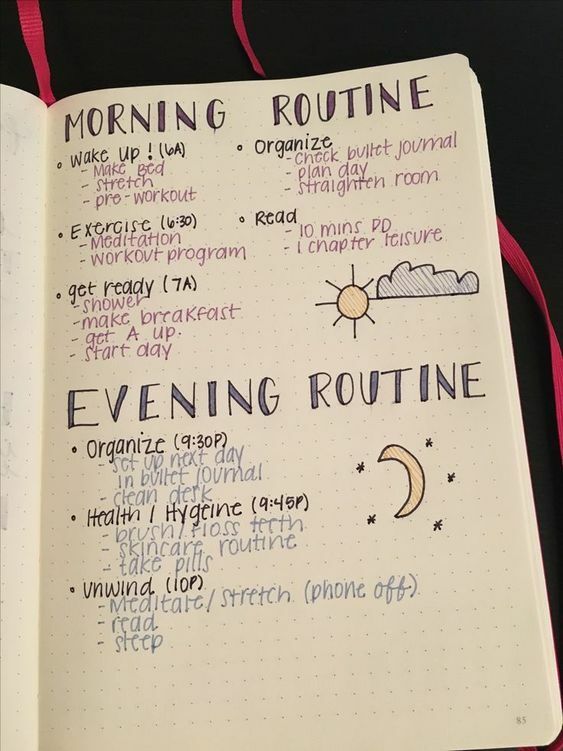 Having a daily routine planned out also helps you in determining how much time you need for exercise, making it easier to arrange in your daily schedule. 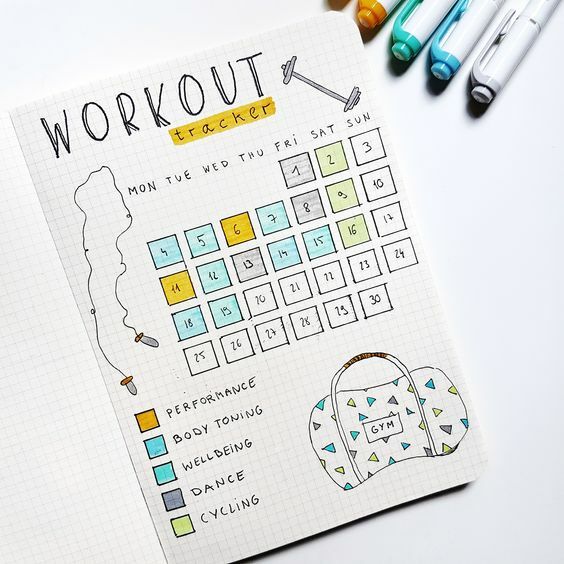 Having a workout plan is one thing. Getting that plan into reality is another. 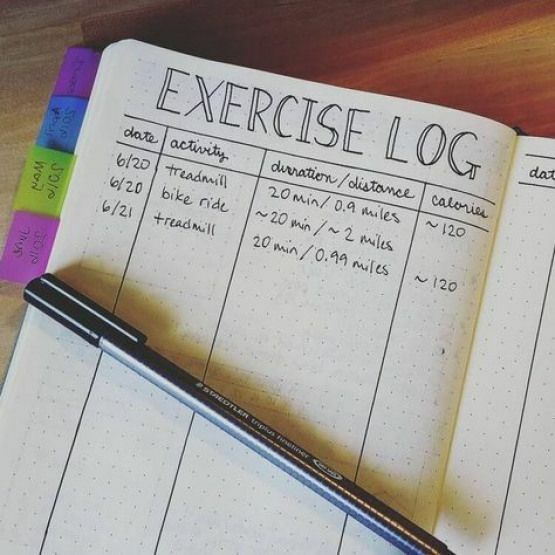 An exercise log or workout tracker helps you in monitoring whether you are actually following your exercise routine. 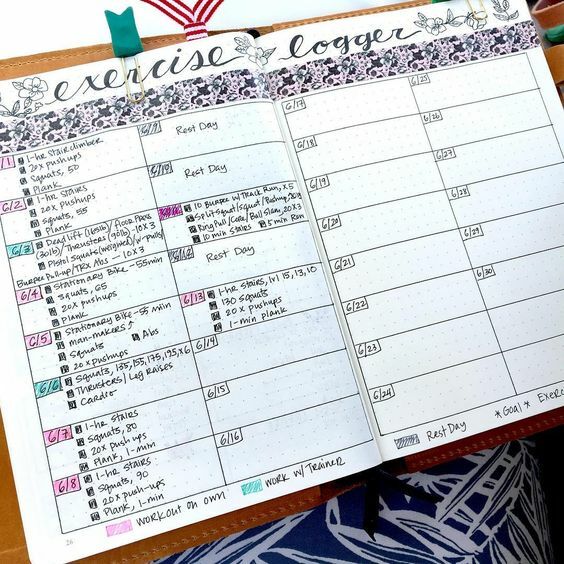 While it can be incorporated in your workout routine page, you can also have it in another page, so your exercise goals are separated from the actions that you have taken. In this way, you will have a clear feedback of how you are doing – where you succeed and where you fail. 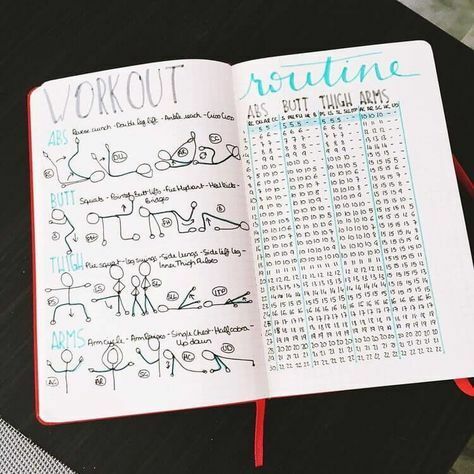 You can write everyday what you did during your time for exercise. 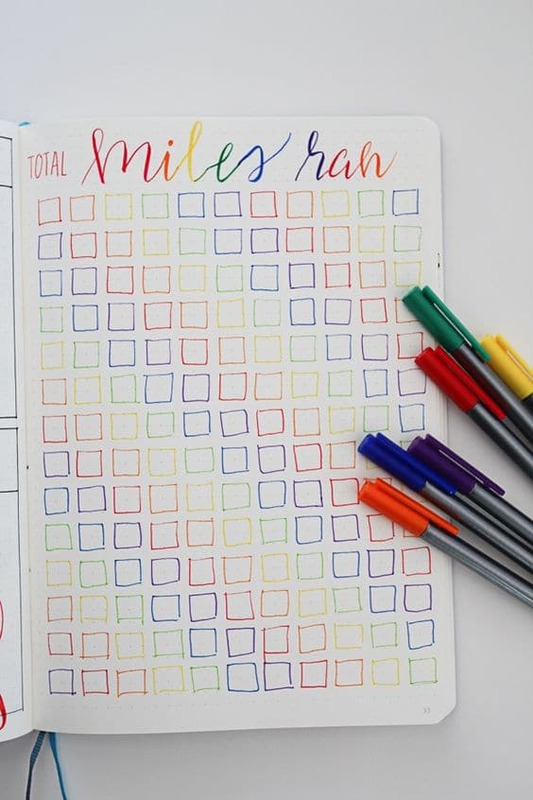 Or it can simply look like a checklist, coloring each box as you accomplish a specific type of exercise, using colors that match each type. Running and walking are two of the best and easiest exercises that you can do. 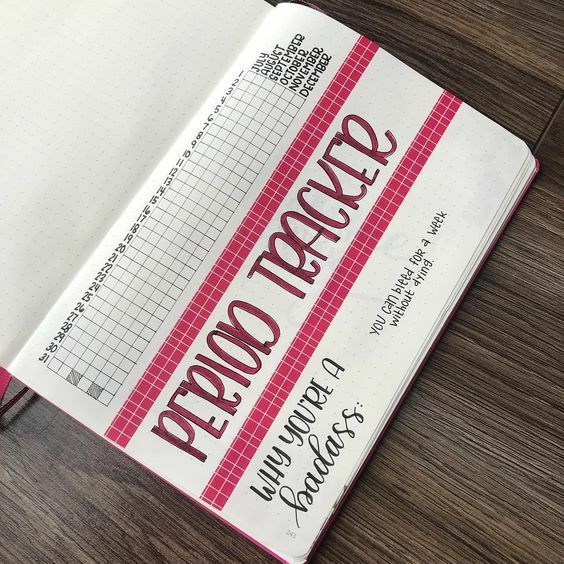 By having a running or walking log in your BuJo, you’ll be able track how many miles you have run. 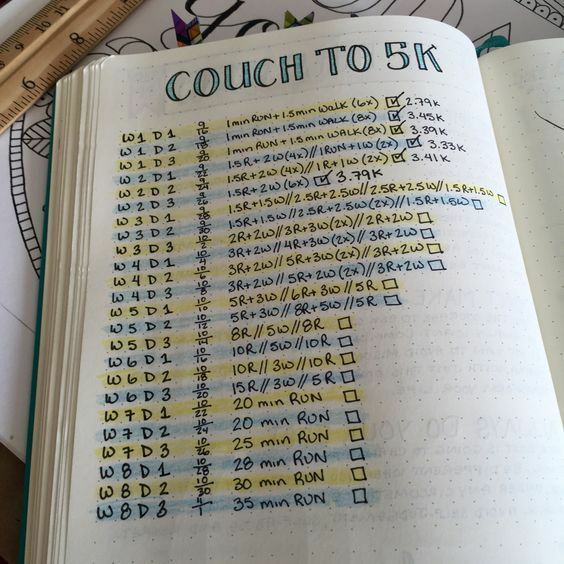 You can also assign a particular number of miles to specific days, or just hit the pavement, and let yourself choose how far to go – whatever you’re feeling up to. 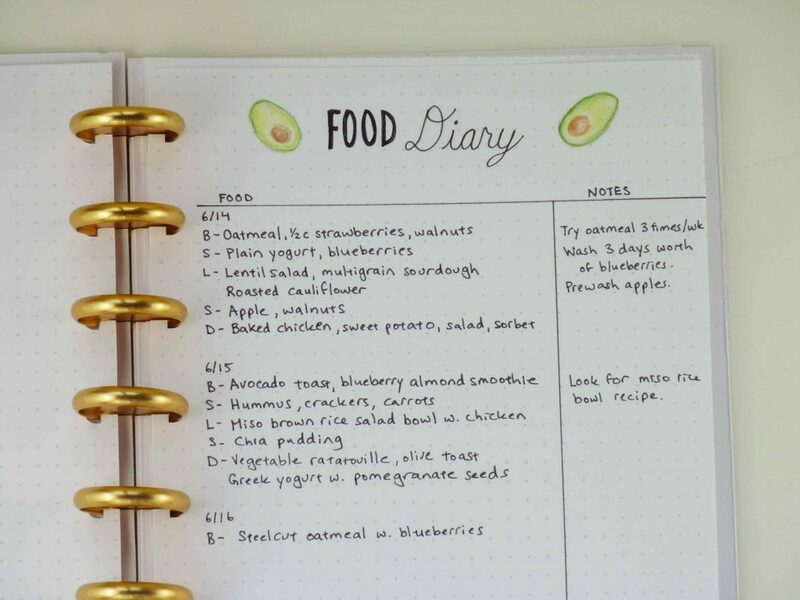 Record everything you eat in a Food Log or a Food Diary. If you’re serious about having a healthy lifestyle, it’s a must that you notice what you are eating. Do you eat plenty of fruits and vegetables? 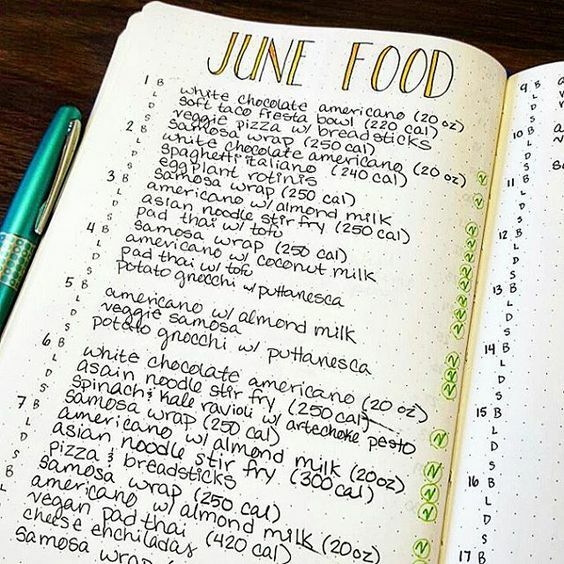 Get a realistic feedback by using a food log. 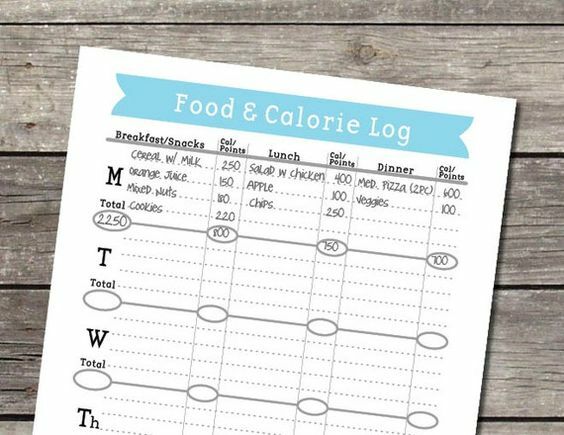 You can combine your Food Log with Exercise Log because you know how these two should go hand in hand for a healthy lifestyle. 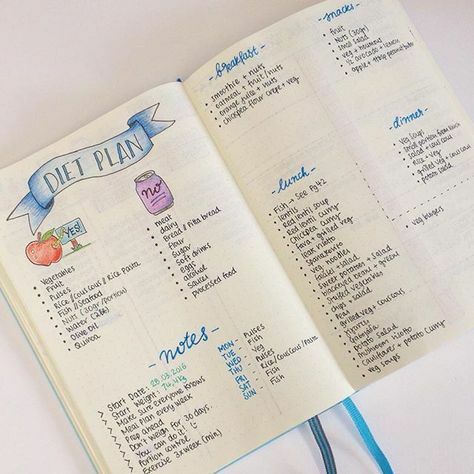 Keeping your calories in check is another step towards a healthy life. 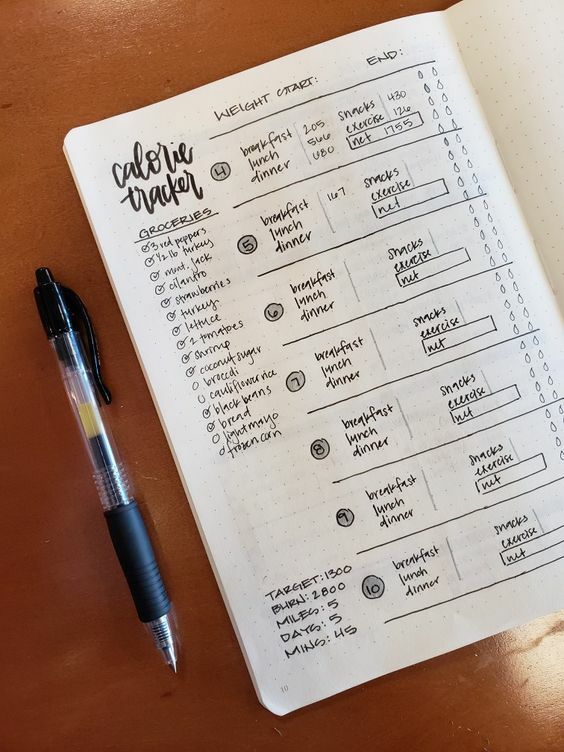 This BuJo page will help you monitor how much calories you are taking in each day. You can really be conscious about the amount of sugar that you take in each day. 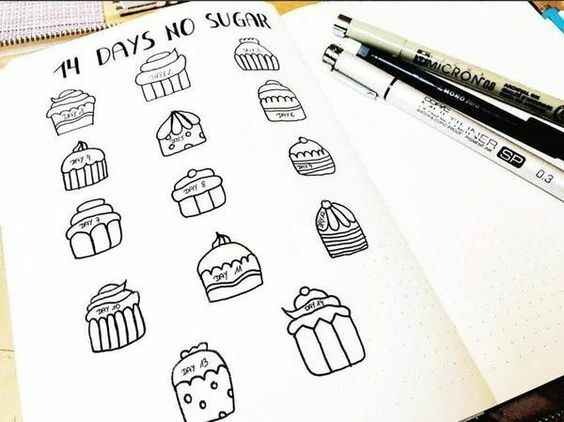 If you seriously want to get rid of that excess sugar in your diet, but it’s taking you more effort to do it than the rest of your habits, you can add a page just for it. Drinking eight glasses everyday is a must if you want to stay healthy. We know this, but because of our busy lives, we forget. 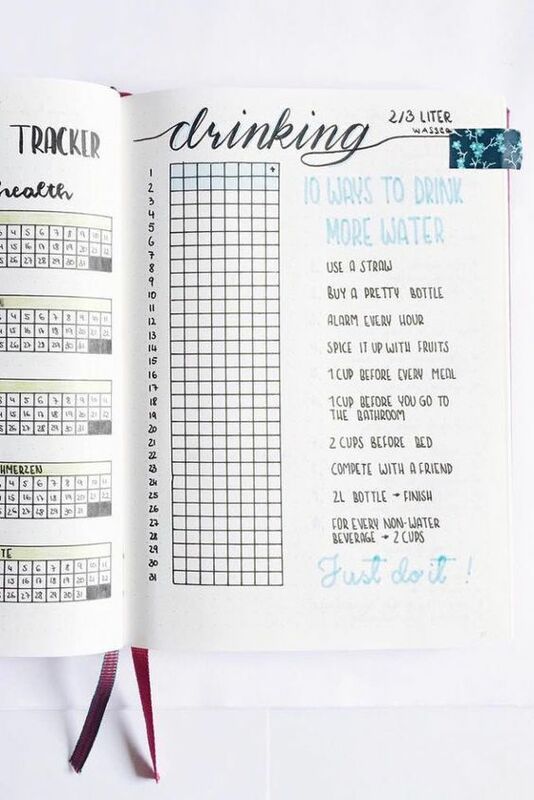 So including a water log in your bullet journal goes a long way in keeping you healthy by reminding you to drink water regularly. You could always use a better night sleep. 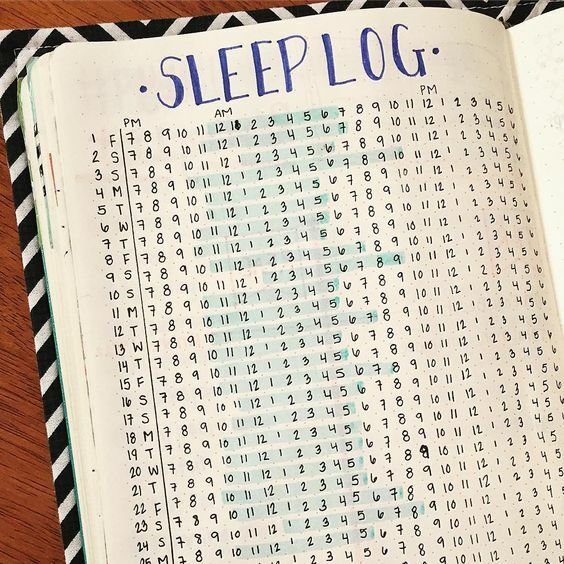 A sleep tracker will help you understand your sleep patterns, like how many hours you need each night. 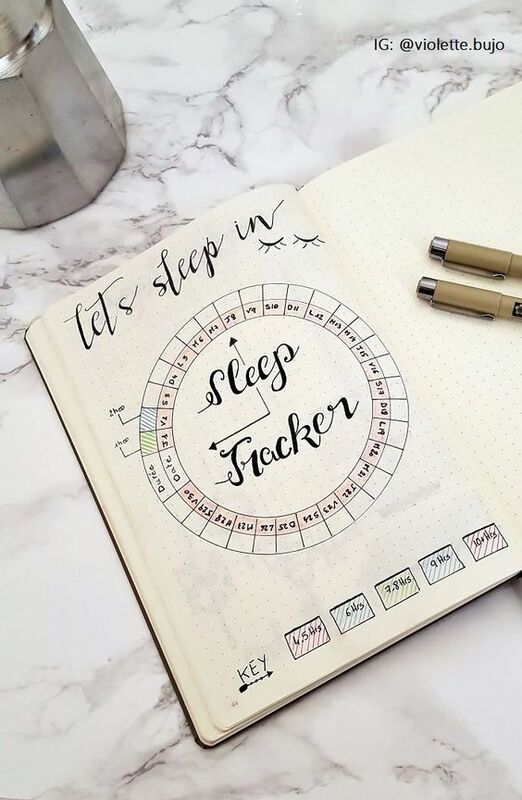 If you have trouble sleeping, a sleep tracker can give you your sleep data and help you discover the reasons behind that. Why should you monitor your menstrual cycle? Here are some very important reasons. So that you are prepared for your period – If you know when to expect your period, you can carry your pad along with you. 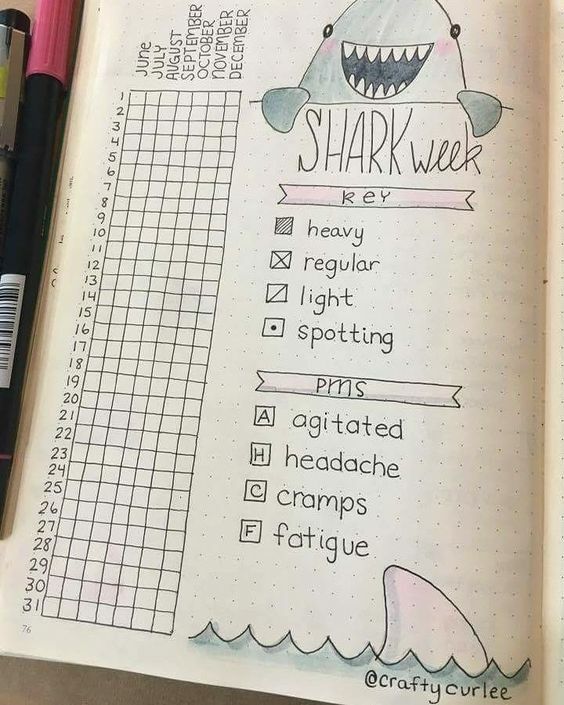 You can also plan your travel days and busy days so that they don’t coincide with your menstruation. You have a better idea of when you are fertile or not which is a lot of help whether you are trying for a baby or avoiding it. Menstrual health mirrors your overall health. 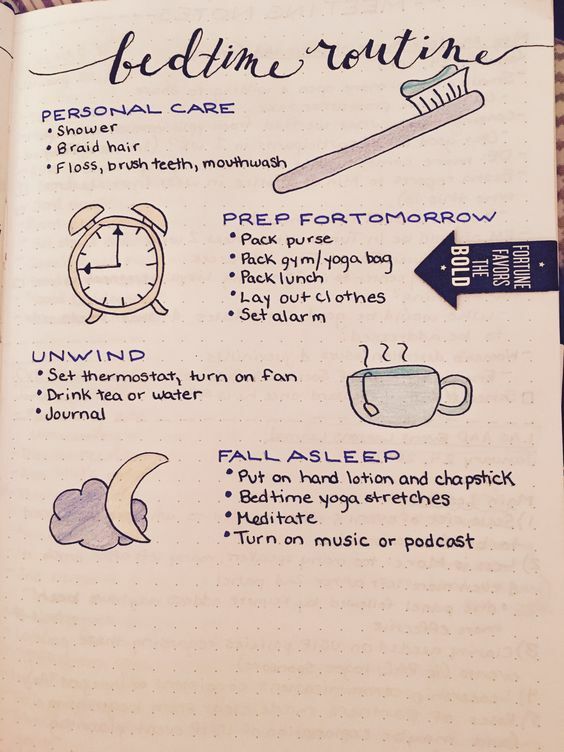 So if you care enough about your well-being, this is one entry worth to be in a bullet journal page. Never miss any meeting with your doctor. 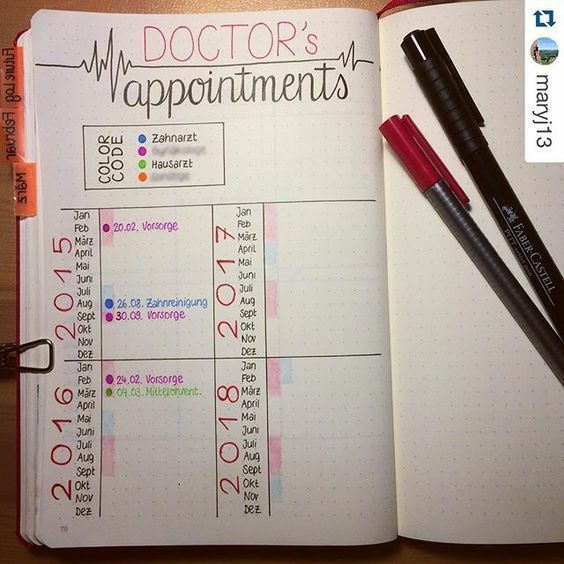 Write every appointment you have in your bullet journal. 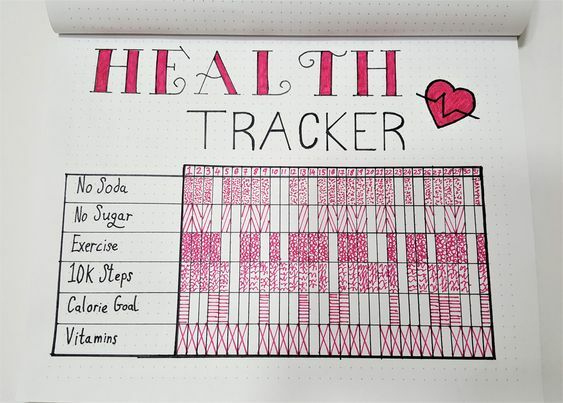 You can put all your health actions in one page namely Health Tracker. 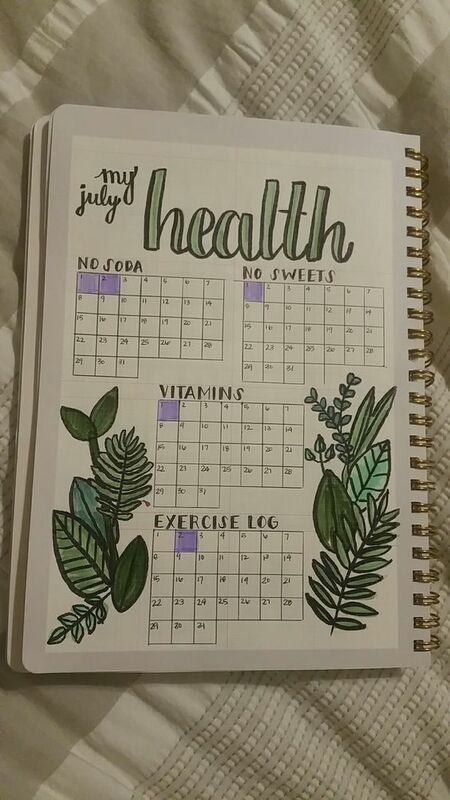 It’s just like a habit tracker, only that, in this page, you focus only on the habits that keep you healthy. Do you always have to think what’s for dinner? 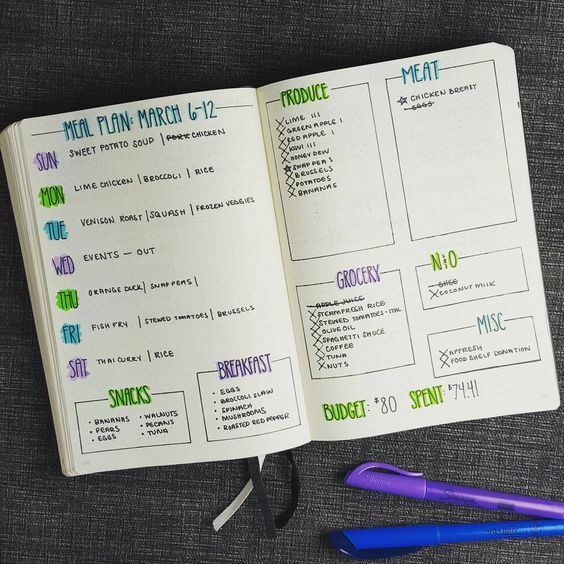 With a meal plan, you can do the thinking in advance. So everyday, you just have to cook what’s written in your plan. 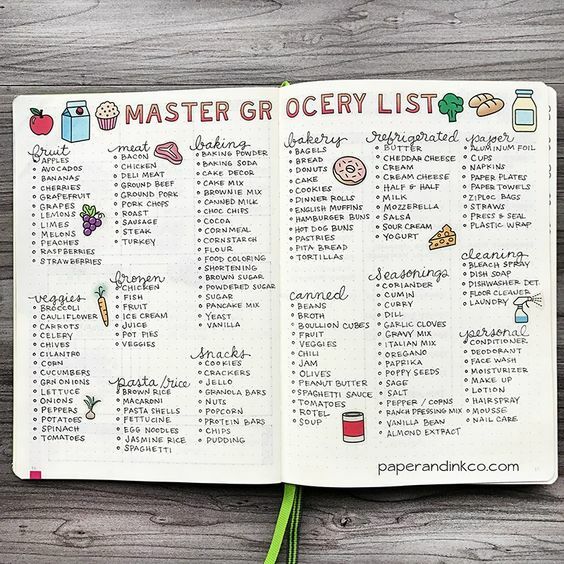 Because you already have an idea of what you will be cooking, you can shop for the ingredients all at once, thus preventing on-the-spot buying which costs more money and time. 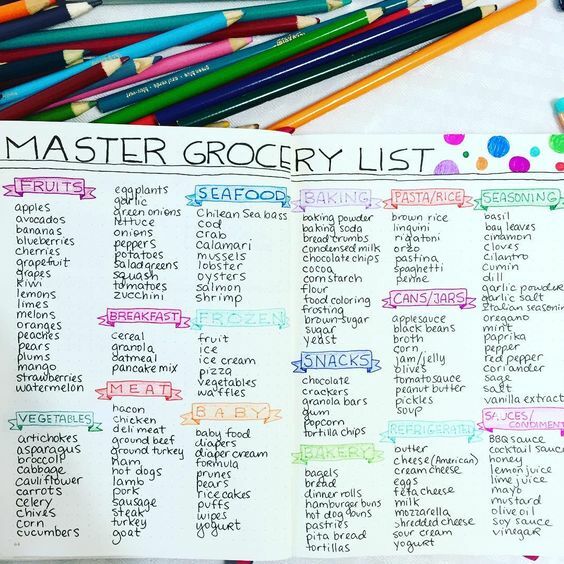 If you have a meal plan, the next thing to have is a master list of the ingredients you need to cook your meals. 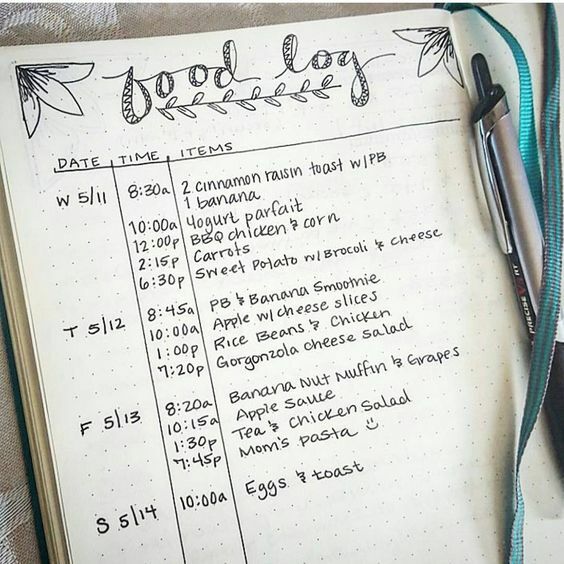 Keeping a grocery list in your bullet journal not only prevents you in forgetting something during shopping, it also helps you monitor what you buy and how often. This can give light on how much money you need to spend for meals, hence, a great help in creating a budget. There are times when it’s really hard to think of what meals to prepare. 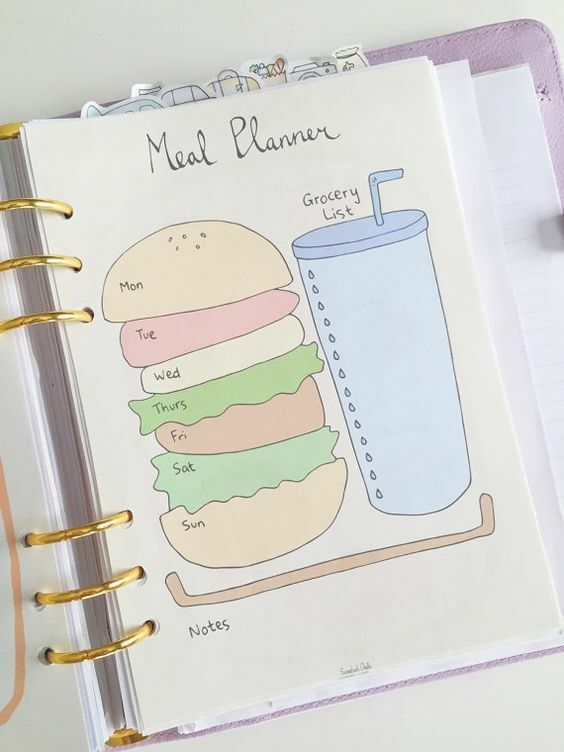 Maybe you have a meal plan. But what if you were not able to follow some in your plans and you end up clueless of what to have for dinner? 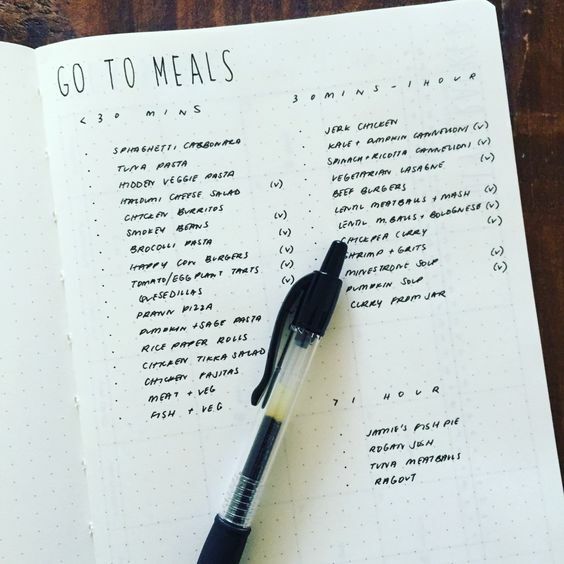 This is where go-to meals come in handy. 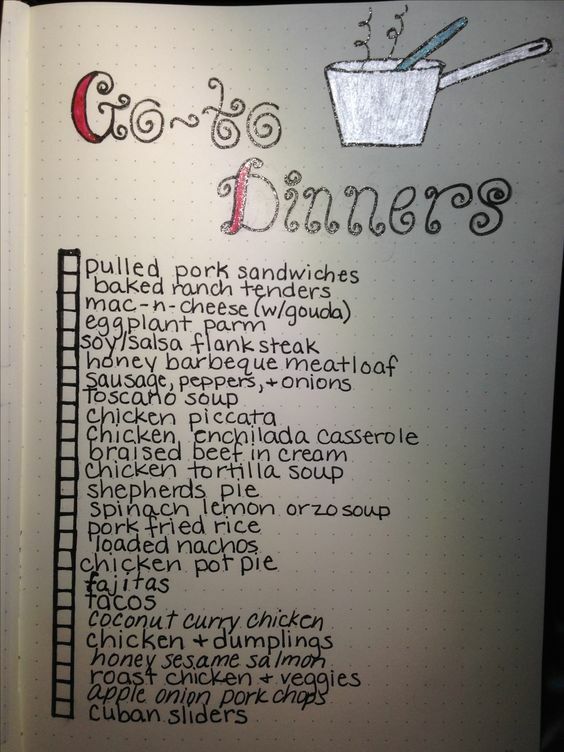 So what are the meals that you can make without a lot of fuss? 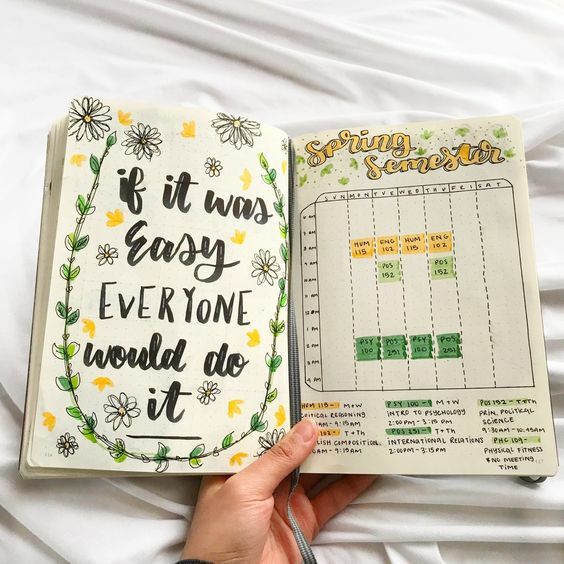 Write them down in your bullet journal. 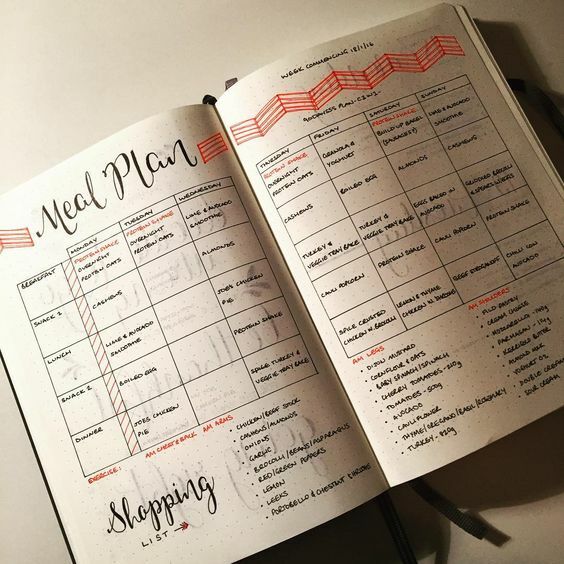 If you can identify the meals that you can prepare (or order) in these scenarios, then you have less thinking and less decision making to do when the need arises. How important is your relationship with the love of your life? Whether you are not yet married or you have been married for years, finding time to spend together is a must if you want to keep your relationship thriving. But what will you do during your date time? You don’t have to stick to the same things over and over again. It’s always fun to try new ideas for your date. 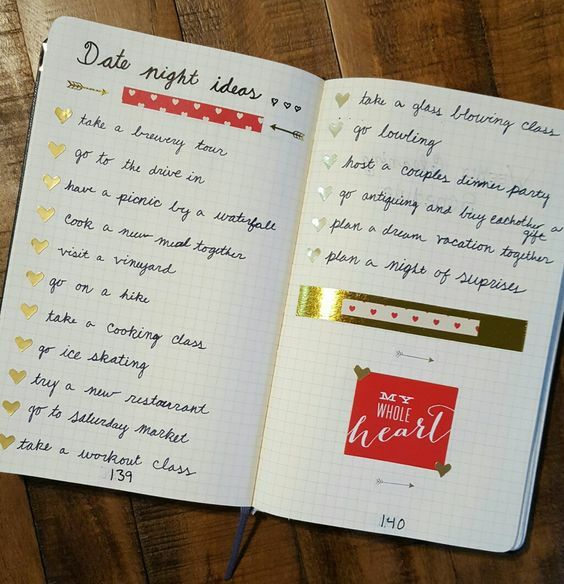 So how about a collection of date ideas you want to try? 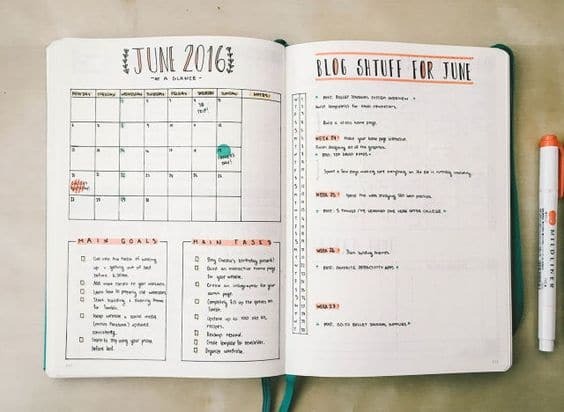 Get your bullet journal and reserve a page for these date ideas. 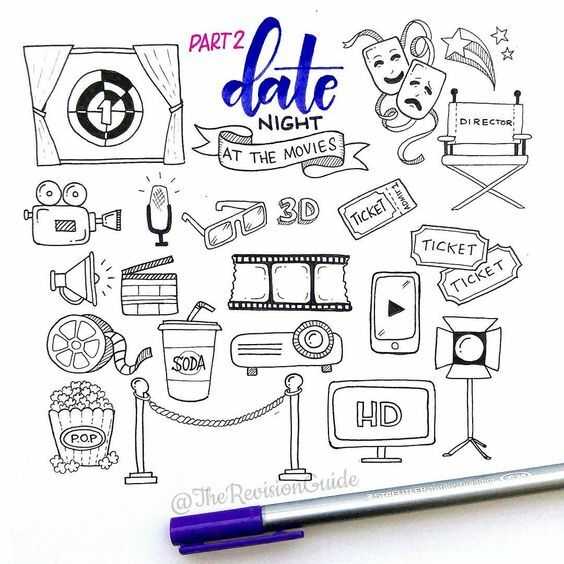 This time I’m not giving you more layouts from Pinterest for your Date Ideas Collection, but I’ll give you sites where you can get more date ideas. 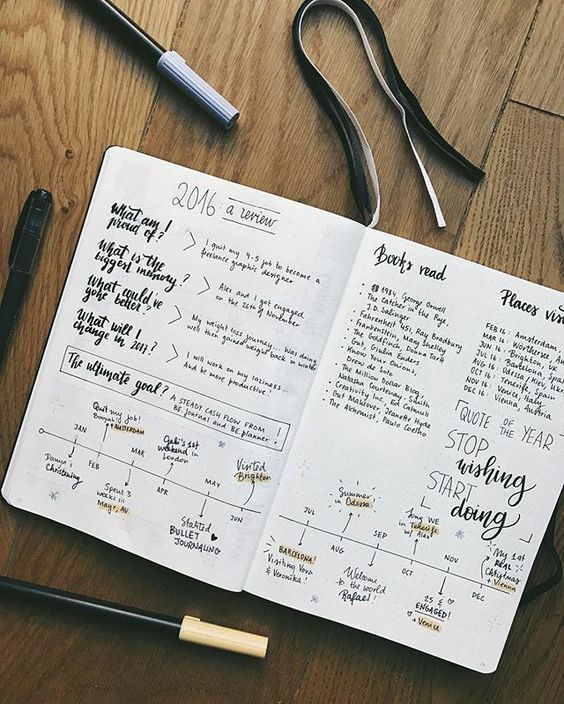 Prepare your bullet journal and write down the ones you want to try! 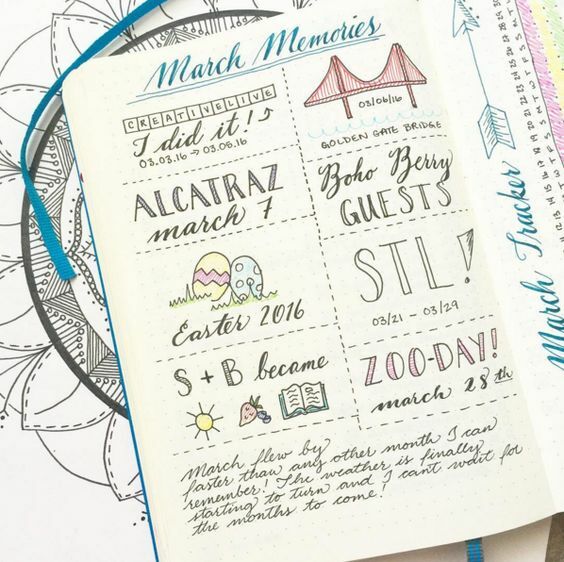 It’s challenging to plan dates when you have a very chaotic schedule. But when you do, you will feel much more happy and connected to your partner. So stop making excuses and start prioritizing your relationship. You’re probably laughing right now. Seriously? What I love about my husband? Ladies, we are so often focused on the negative that we fail to see the positive. This is true in most situations. Sadly, it’s true even in how we see our husbands. Well yes, our husbands can be annoying. But who isn’t? Now instead of focusing on their mistakes and shortcomings, why don’t we focus on the good things about them and highlight those? 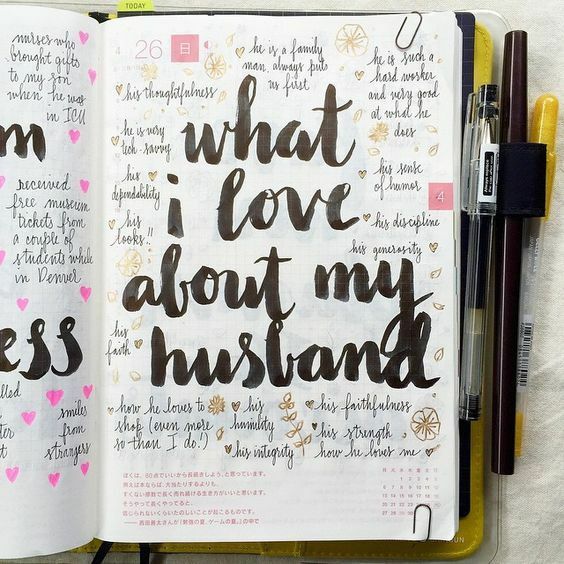 So get a page in your bullet journal and write what I love about my husband. 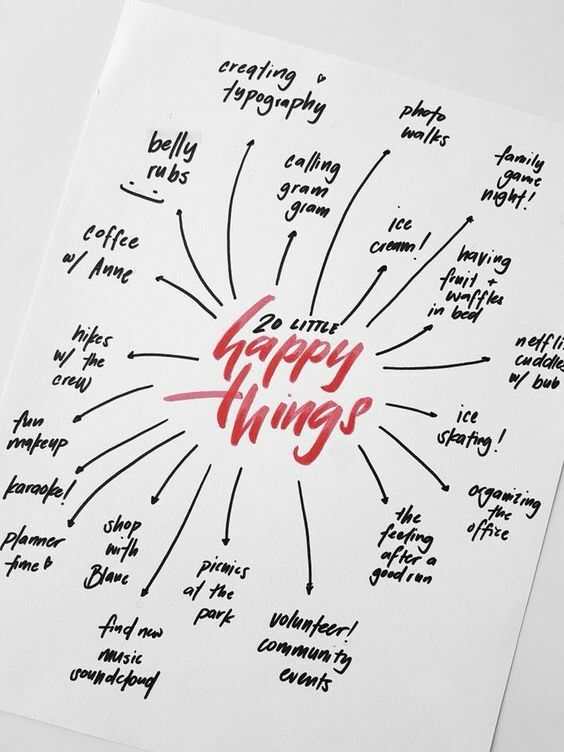 Fill it up with the things that you love about him. 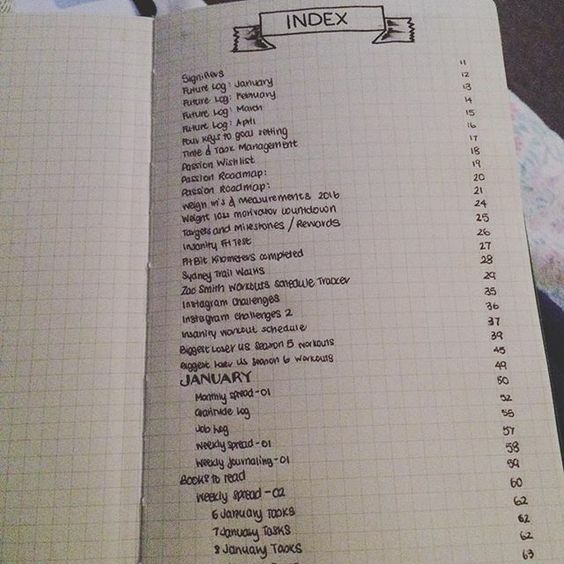 Think until you have at least ten things written on this page. And when he annoys you, go back to this page and instead of getting angry with him, remember the good things that you love about him. Then maybe later you can freely discuss what is it that he did that made you feel upset. Just like we humans need to exercise, our pet dogs also need that to keep them healthy. 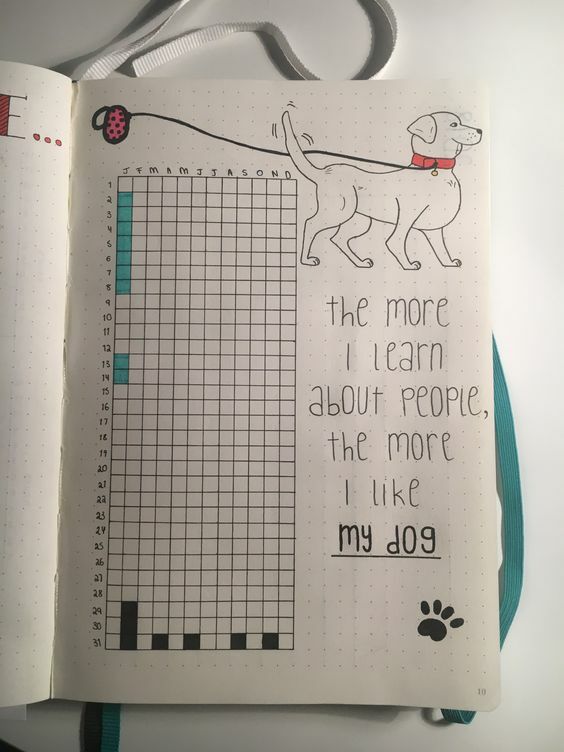 And walking is a great exercise for them too! 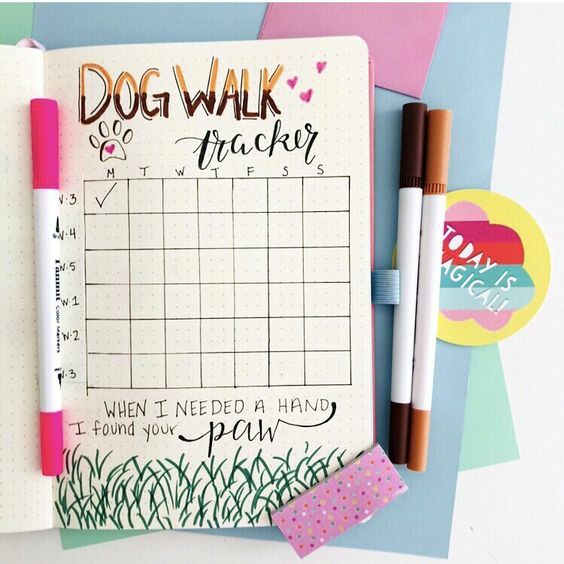 Now it’s easy to forget about walking your dog, so plan and prepare for it. 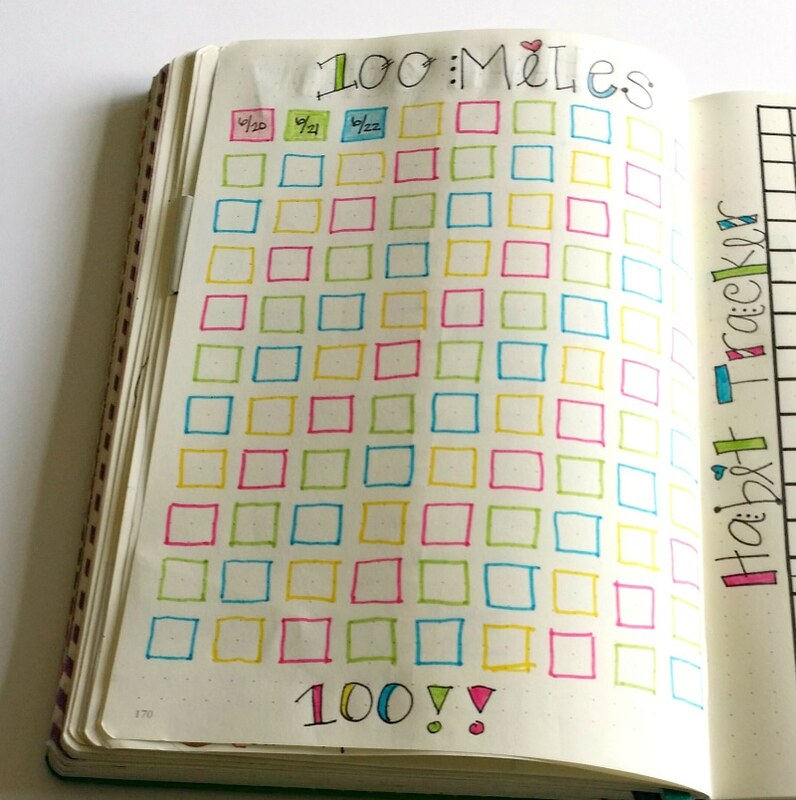 Establish a walking schedule and track your progress. 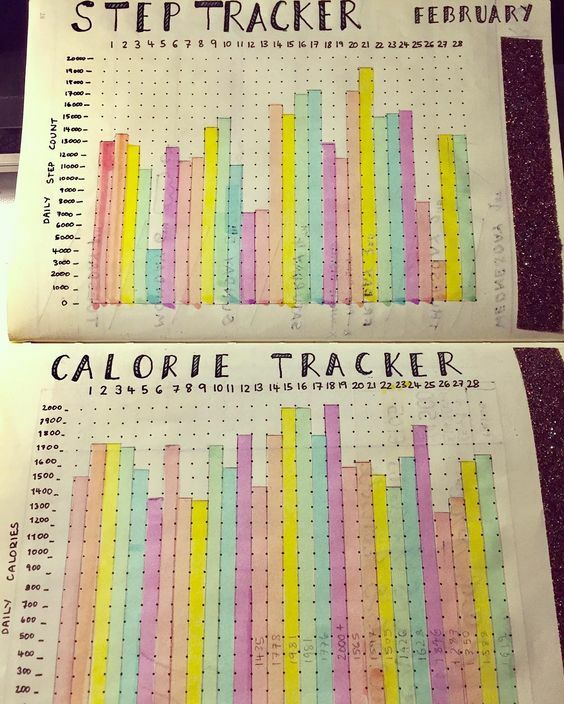 Use your bullet journal and check or color it for each walking you do. 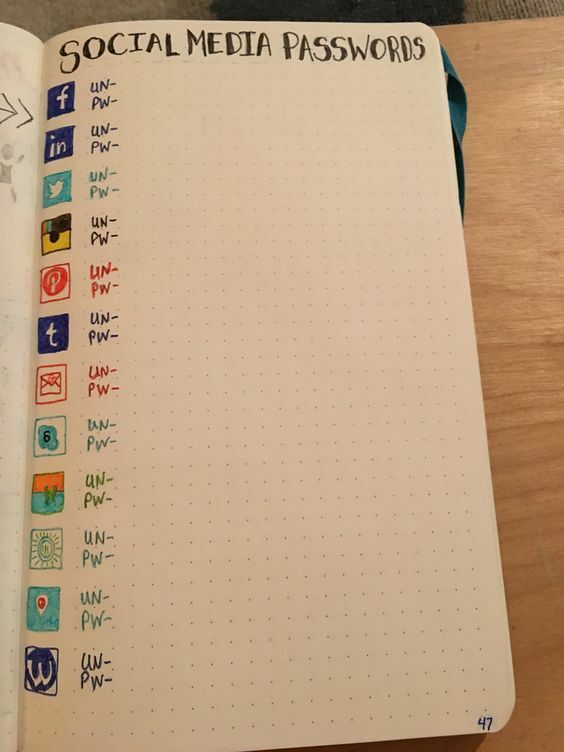 You can also use stickers! Doing this consistently will reinforce your behavior until walking with your beloved four-legged friend becomes a habit. And it’s not just the dog that benefits. You’re walking too. Before you go to the Part 2 of this post, let me thank you first for visiting my site and reading all those 51 entries. As a thank you gift, I’d love to give you some freebies,and continue sending you FREE printables every month. 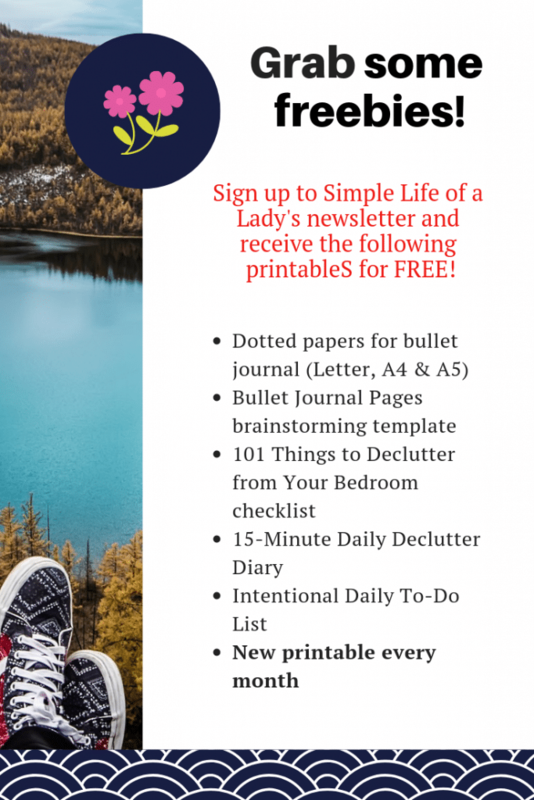 All you have to do is sign up to Simple Life of a Lady’s newsletter. If you haven’t signed up yet, click the image below (or the other link) and it will take you to the sign up page. 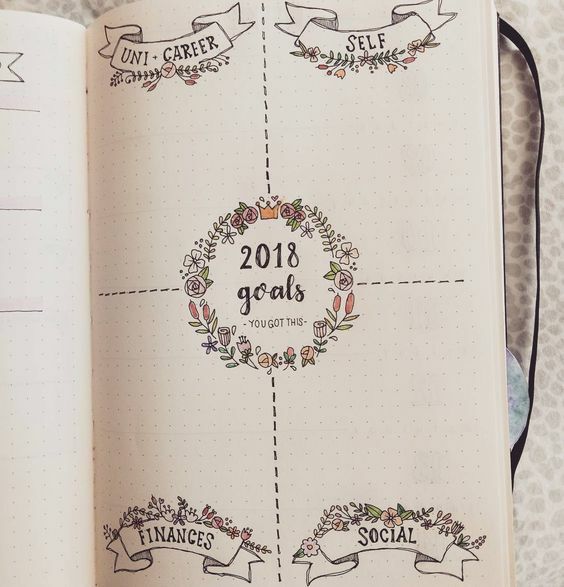 You will also find the link to Part 2, and to my other BuJo posts just below this pix. Loved this post? Let others see it too! PIN any of these images! Really enjoyed this…think you are brilliant! And I only skimmed it…will be back. Thank you for your time and talent! Hello Kitty! I’m glad you liked it! I’m happy to have you coming back to my site. 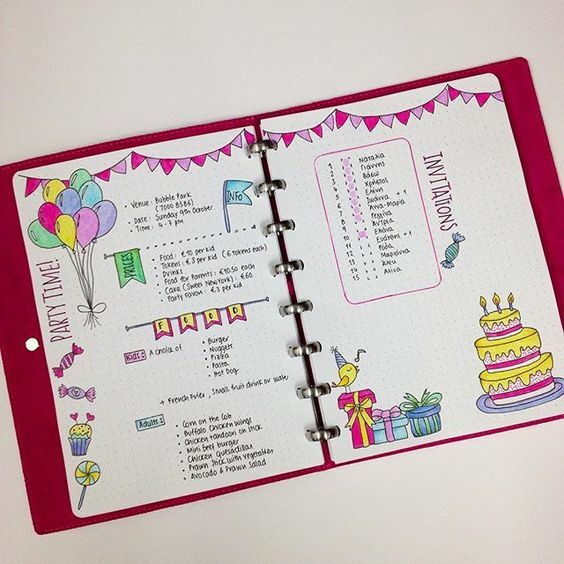 This is a fantastic setup for a plethora of ideas! Thank you for taking the time to do all of this! Hi Kara! I’m glad you appreciate it! Thank you!